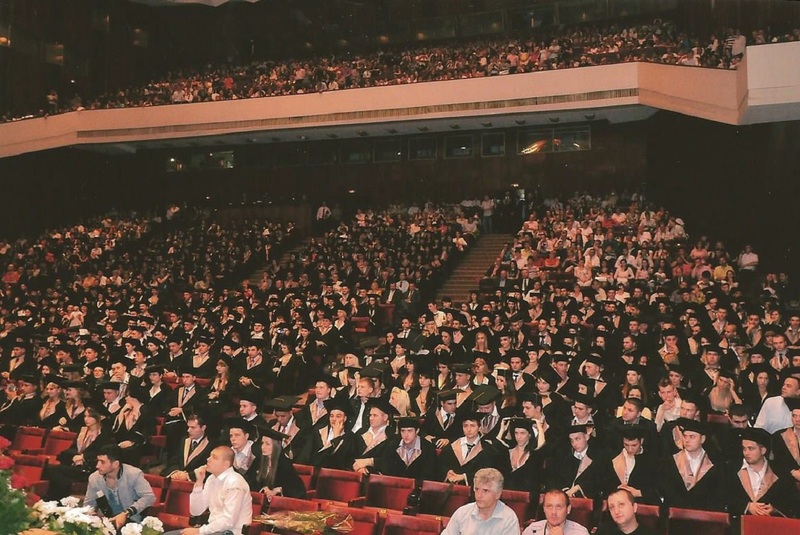 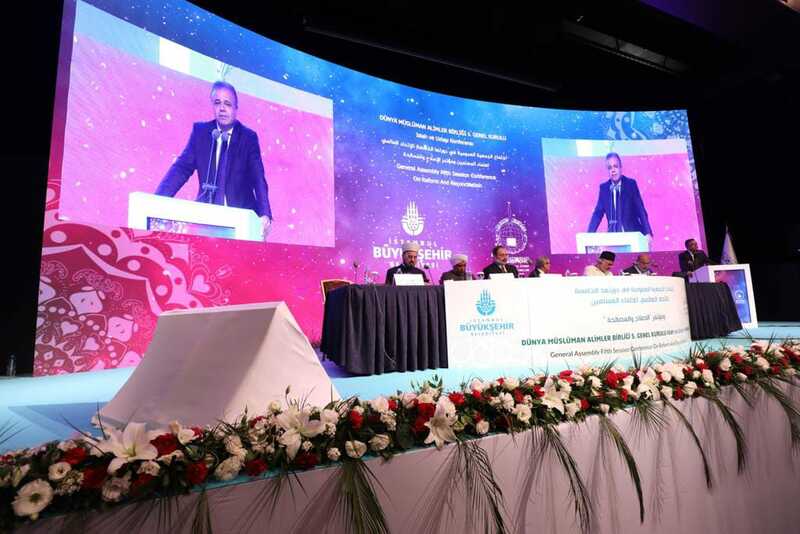 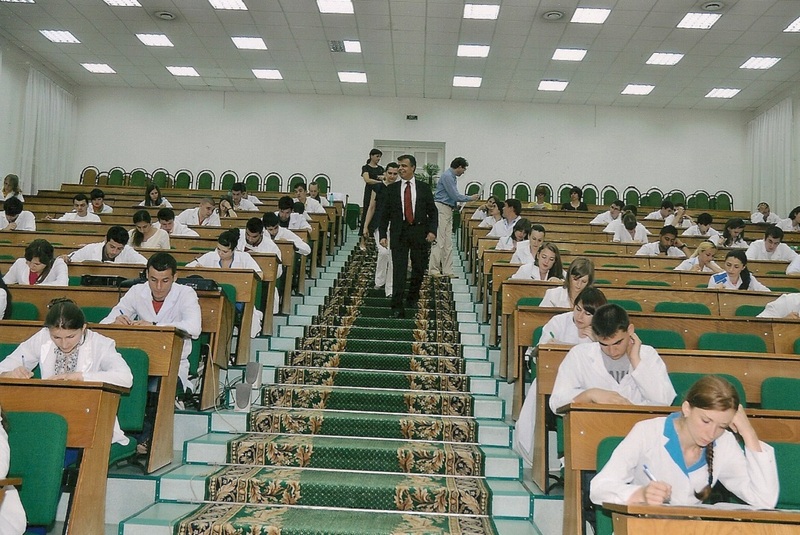 "European Higher Education and Turkey" conference held in Moldova Nicolae Testemitanu State Medicine and Pharmacy University in the graduation ceremony of the 740 students with 3000 participants. 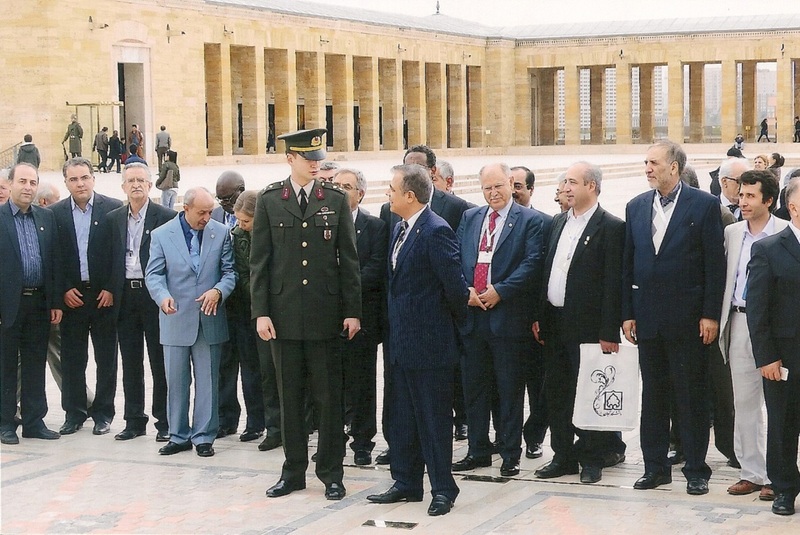 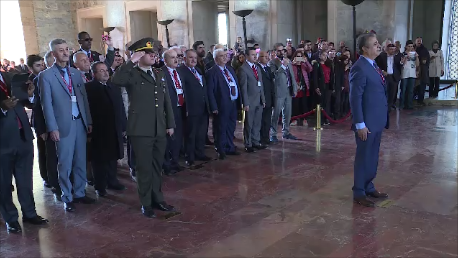 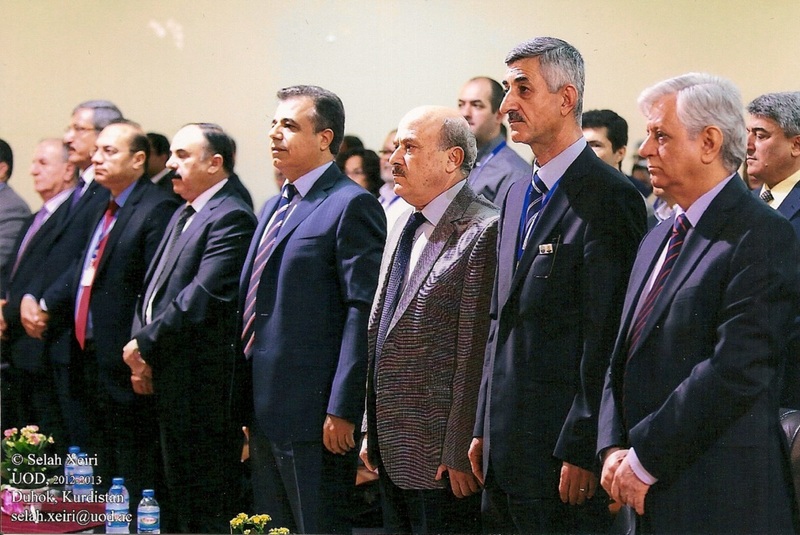 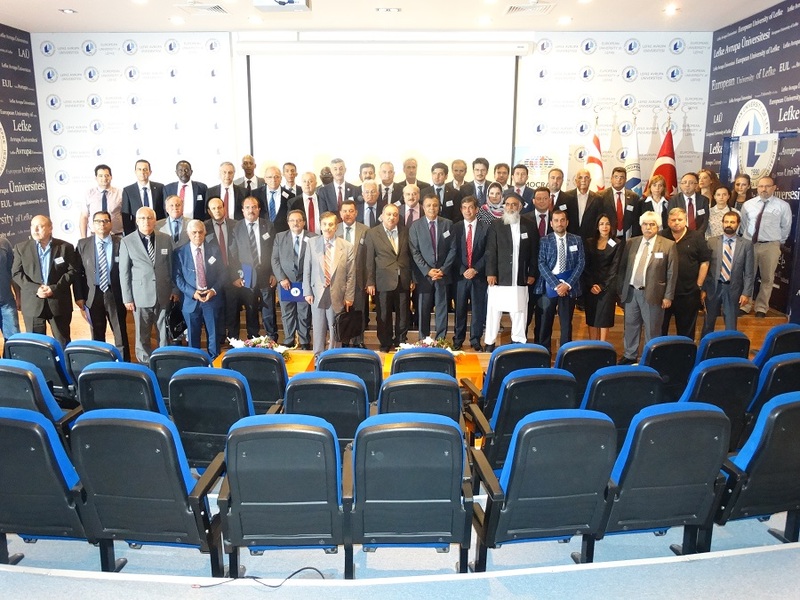 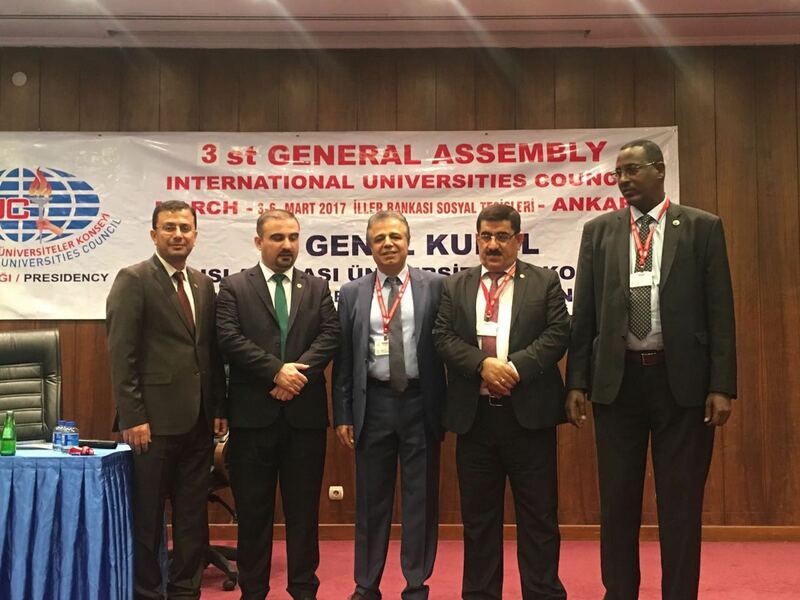 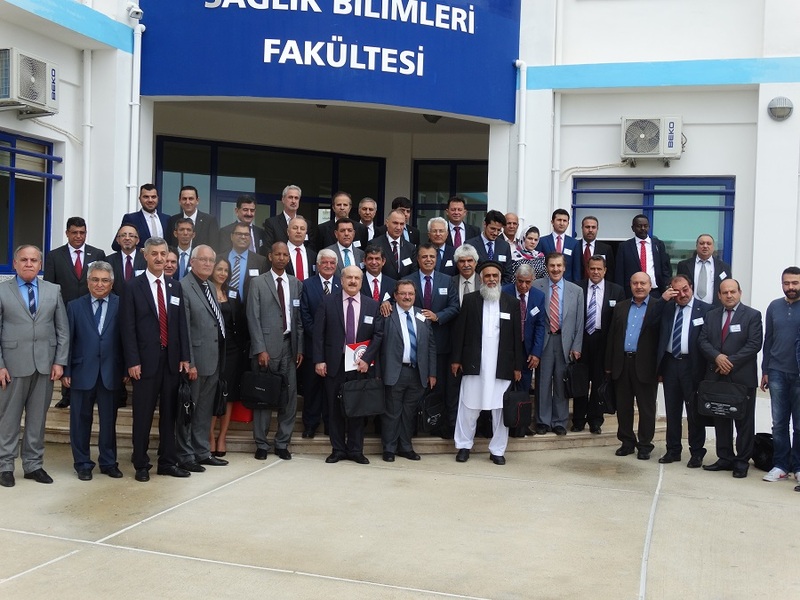 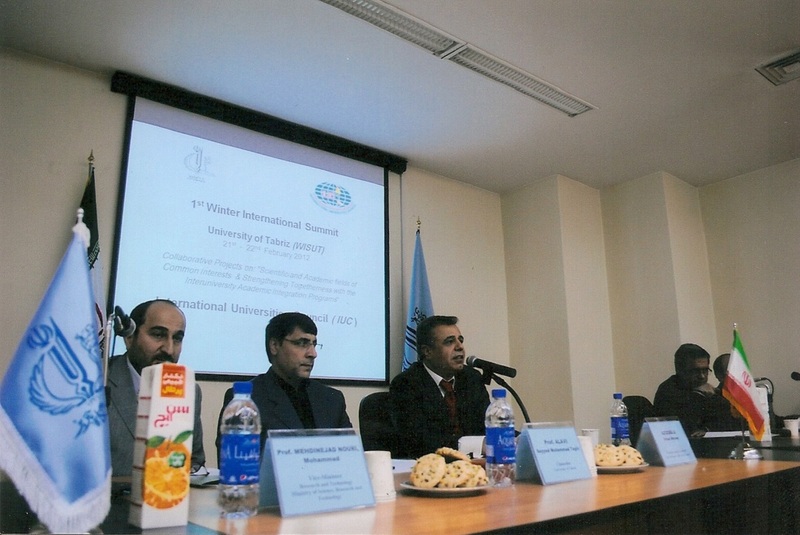 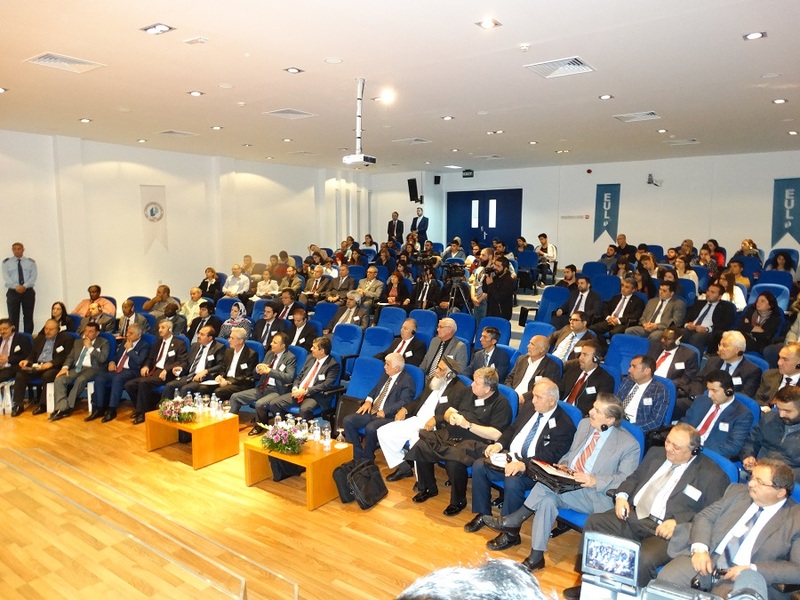 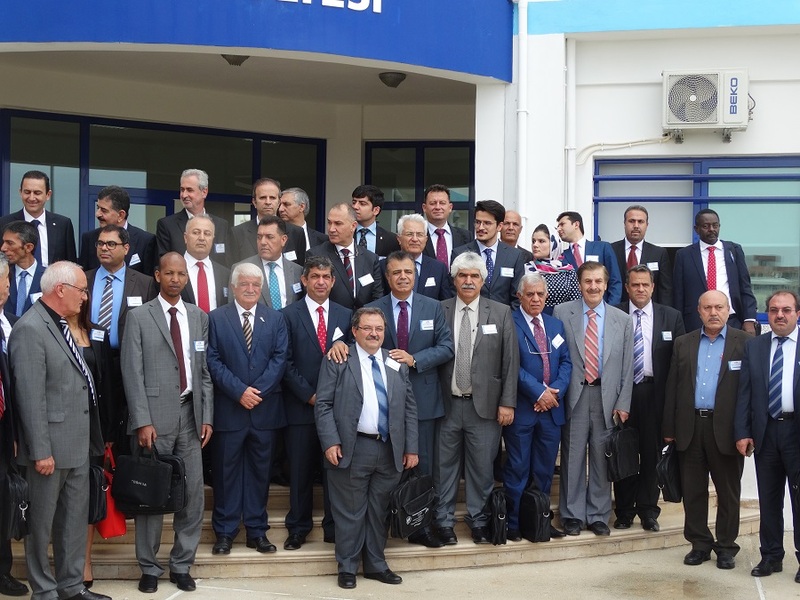 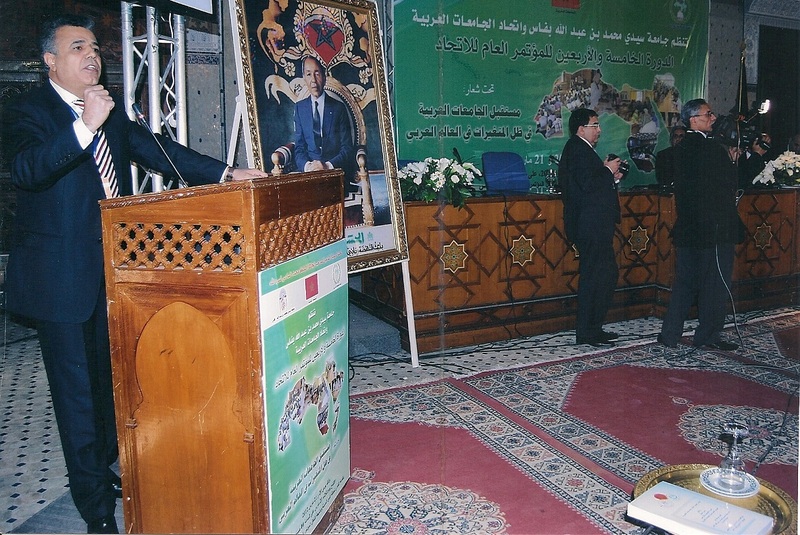 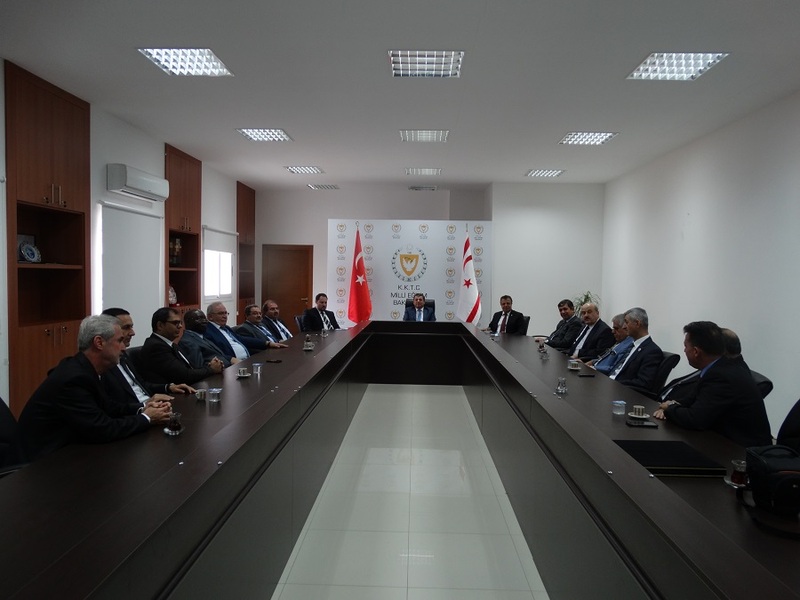 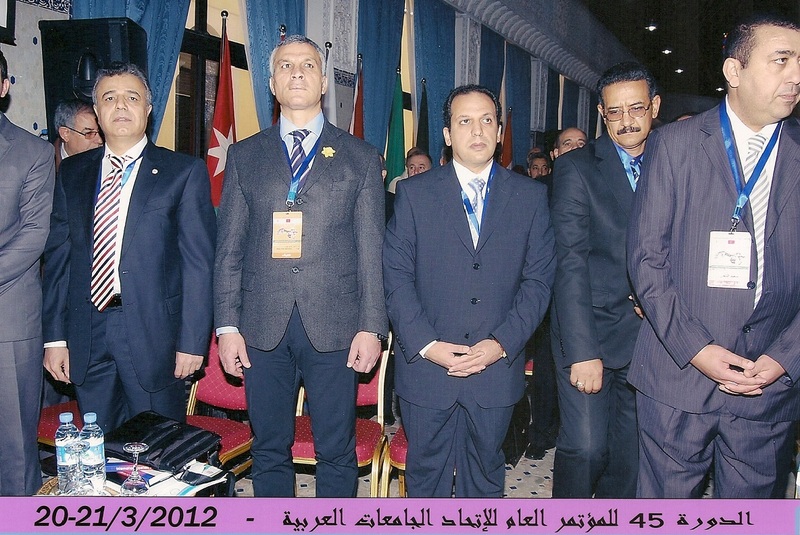 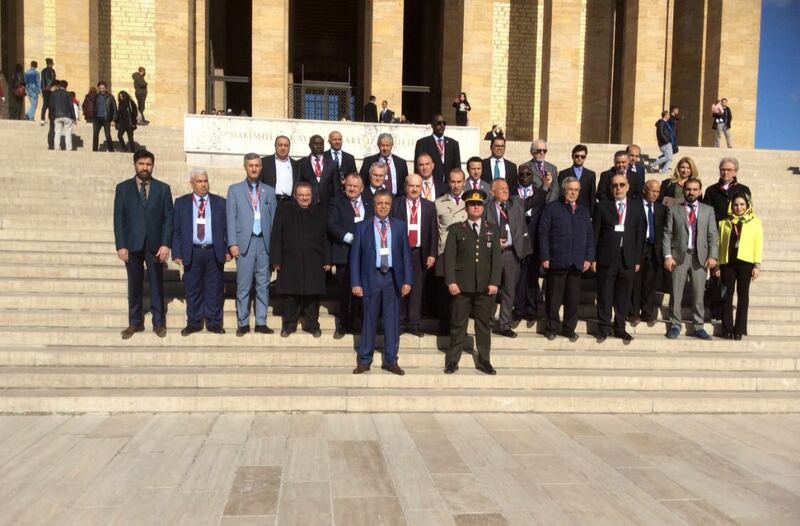 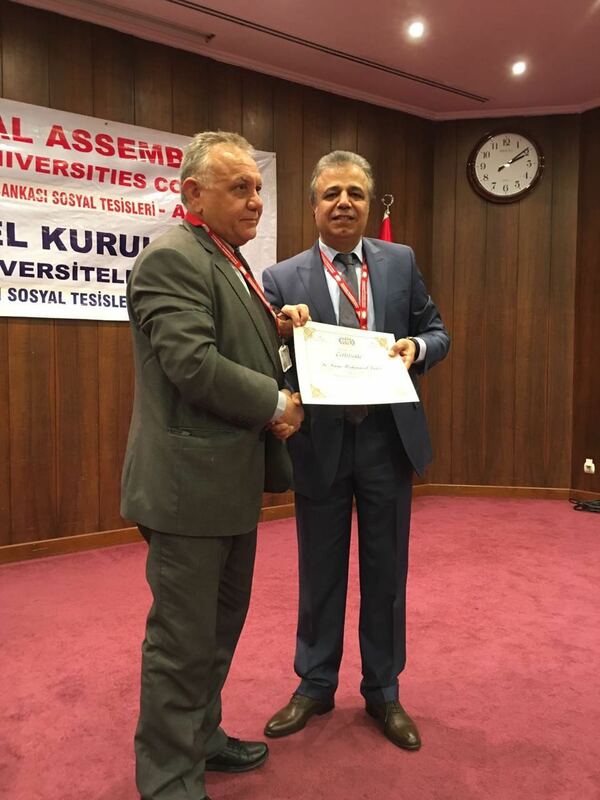 Conference of President of IUC Orhan Hikmet Azizoğlu at Yarmouk University in Jordan and ceremony of medal of honor that presented to him with participation of Yarmouk University Academicians. 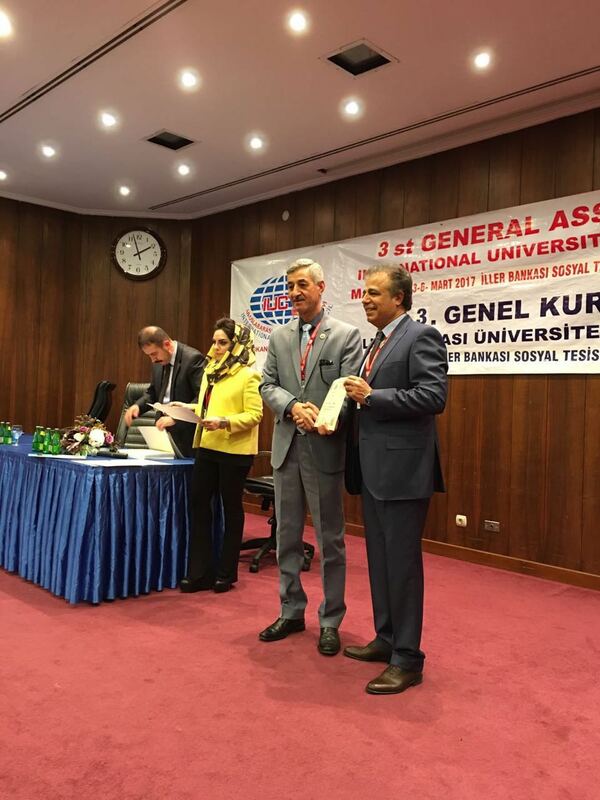 Orhan hikmet Azizoğlu has welcomed Dear Kemal Dürüst, TRNC Minister of Education, to the program of "Academic Glance at our Geography". 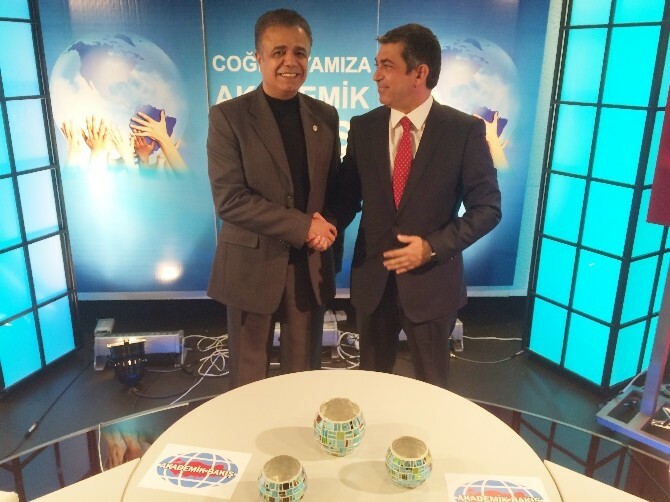 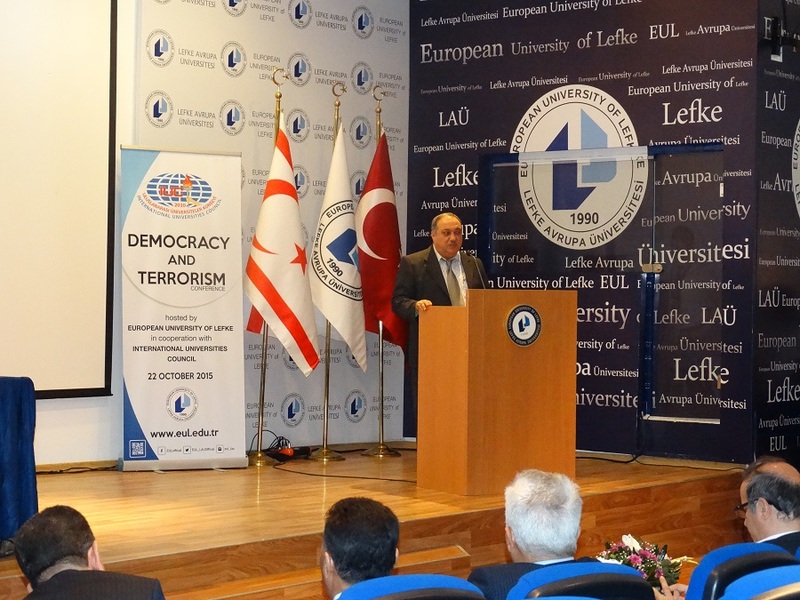 Orhan hikmet Azizoğlu has welcomed Dear Ejder Açıkkapı, AK Party deputy of Elazığ, to the program of "Academic Glance at our Geography ". 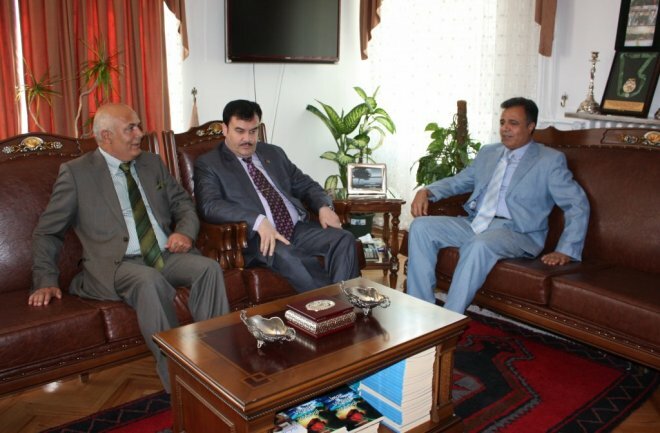 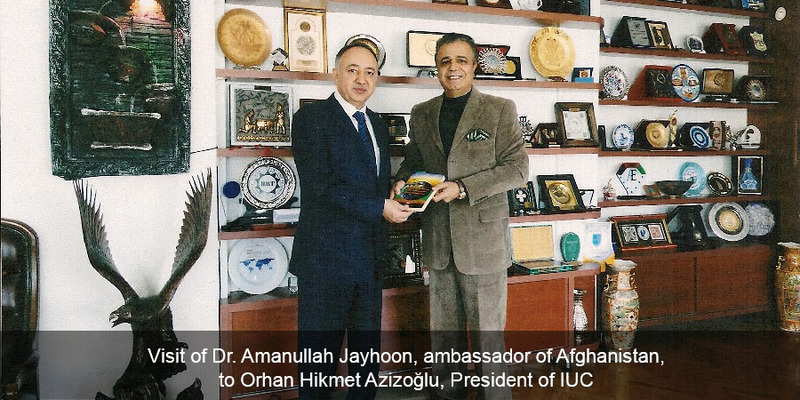 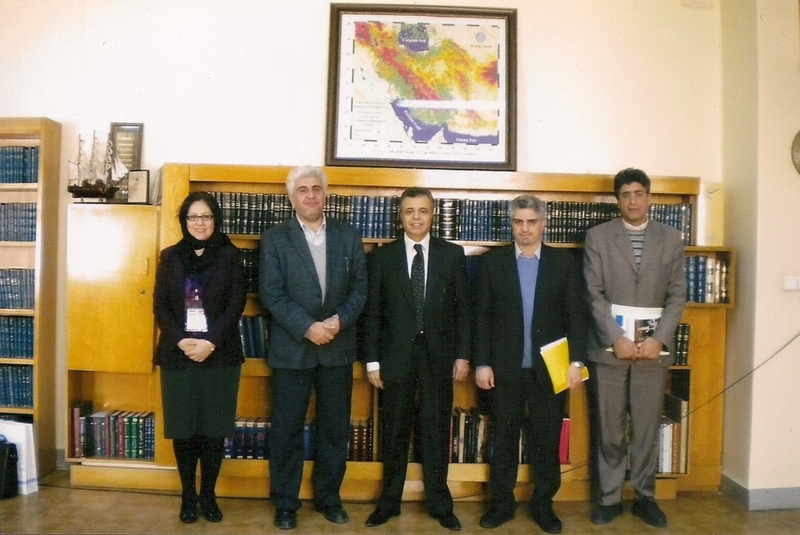 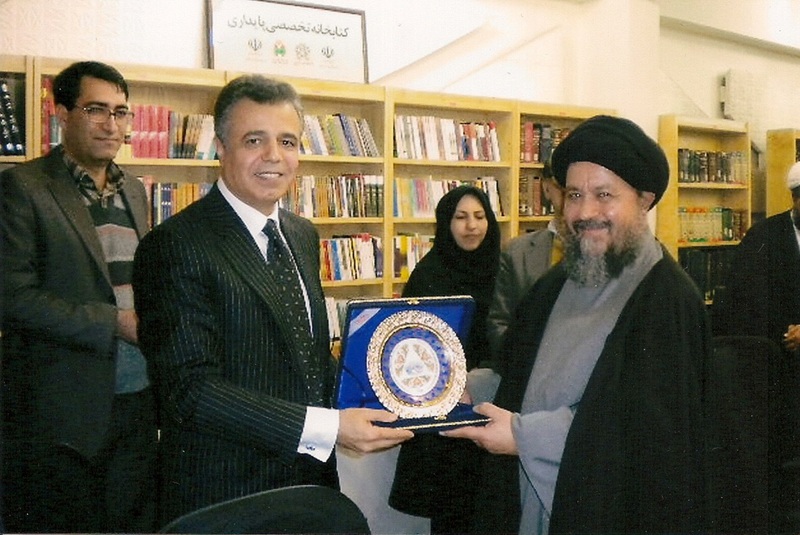 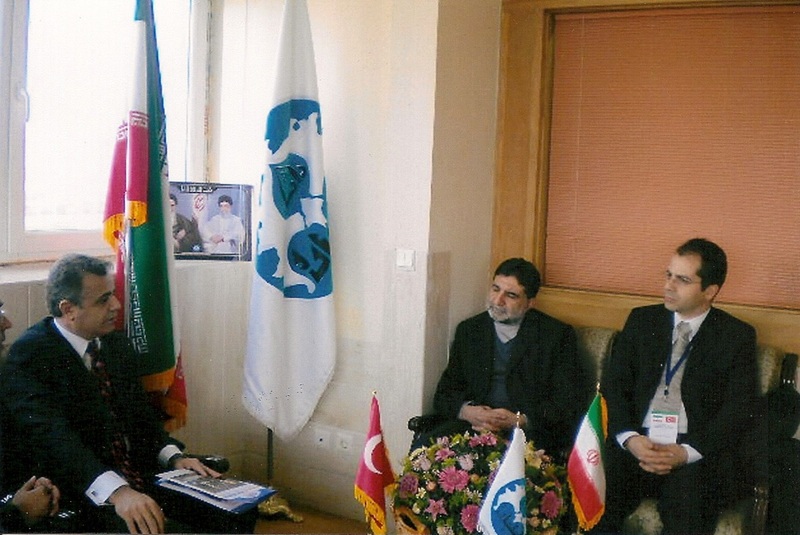 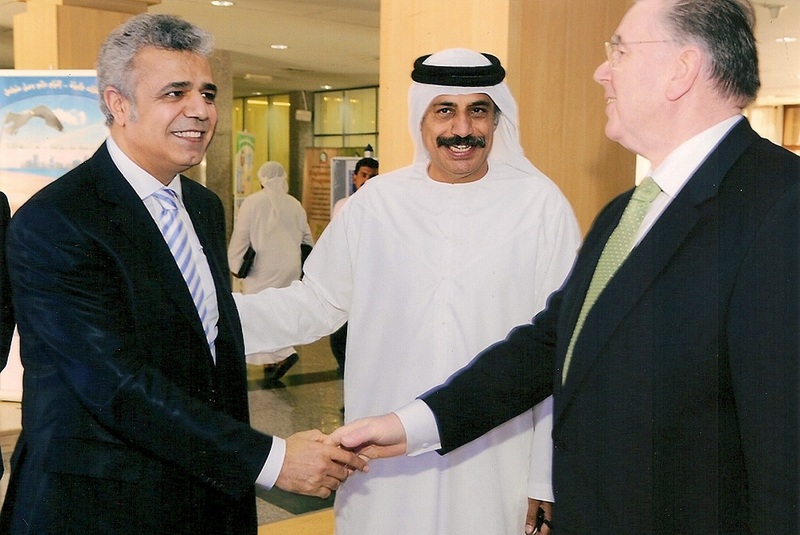 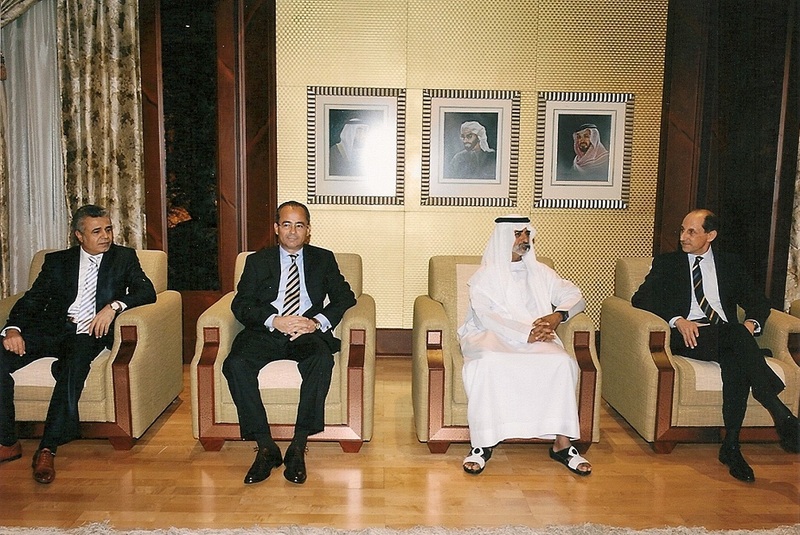 Afghanistan’s Minister of Higher Education, Obaidullah Obaid, has visited Azizoğlu in his office. 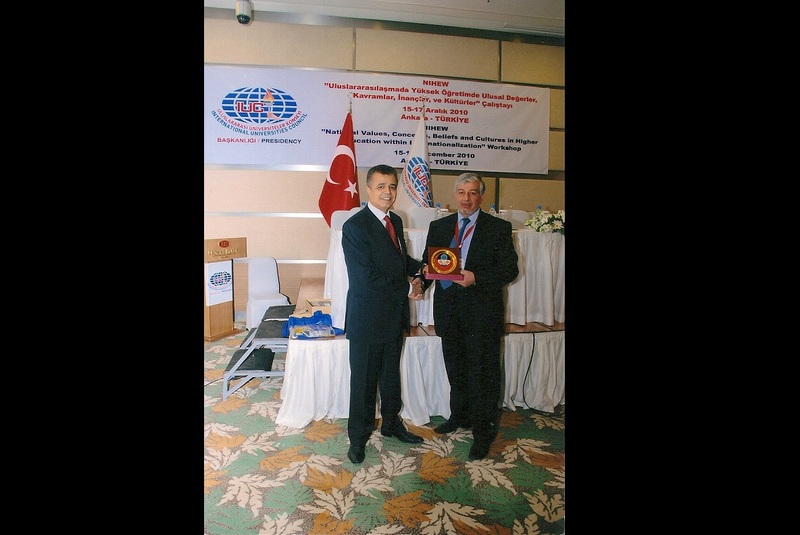 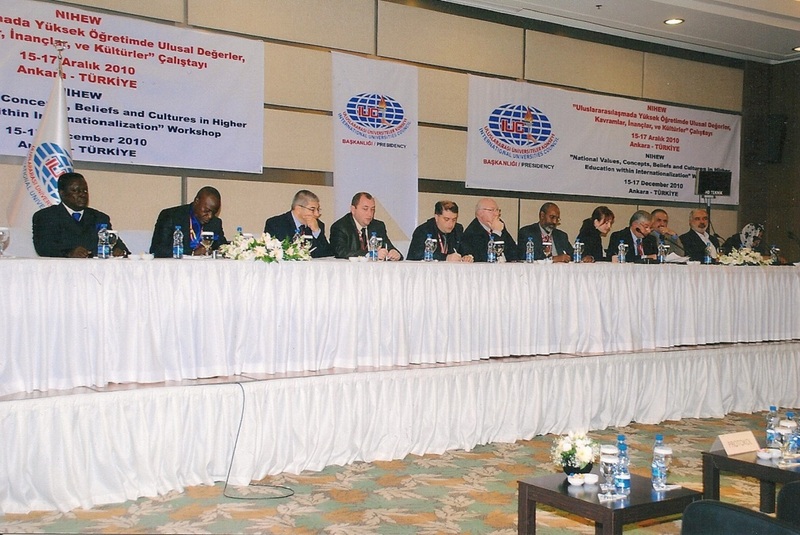 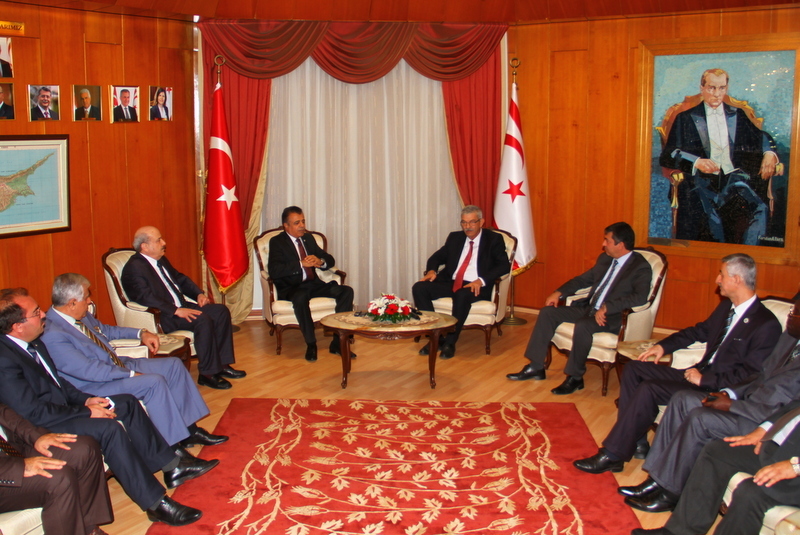 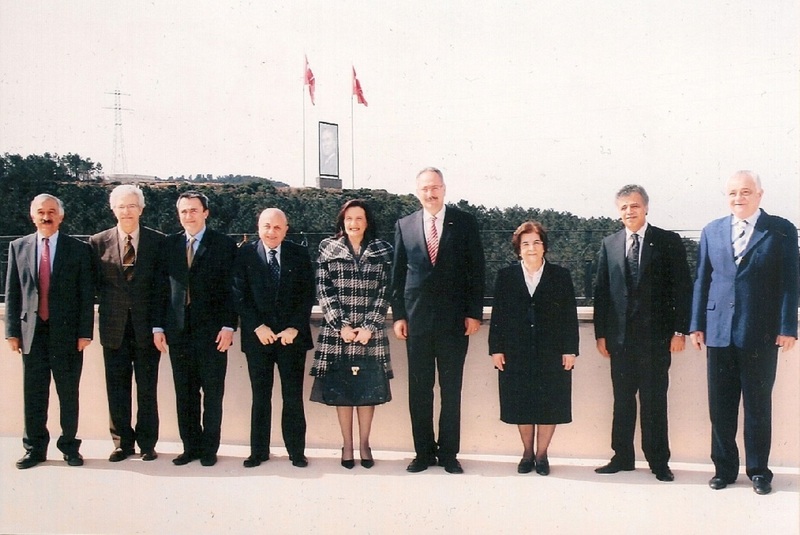 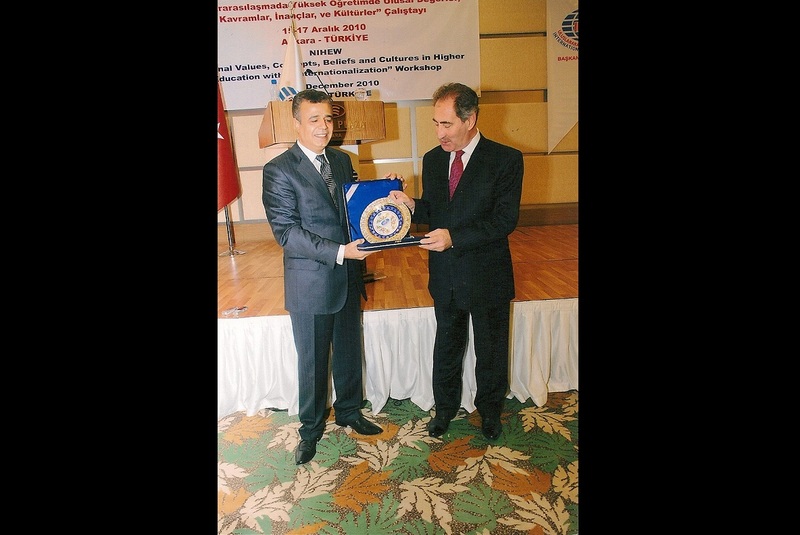 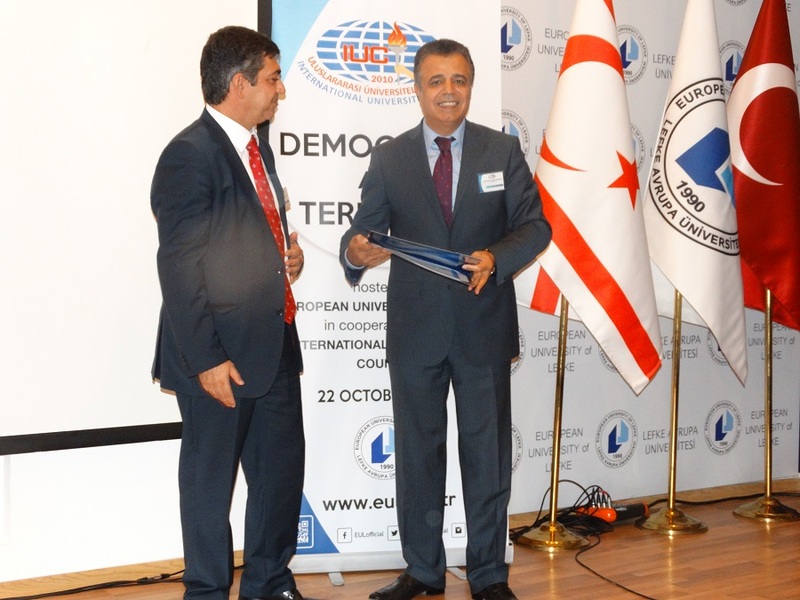 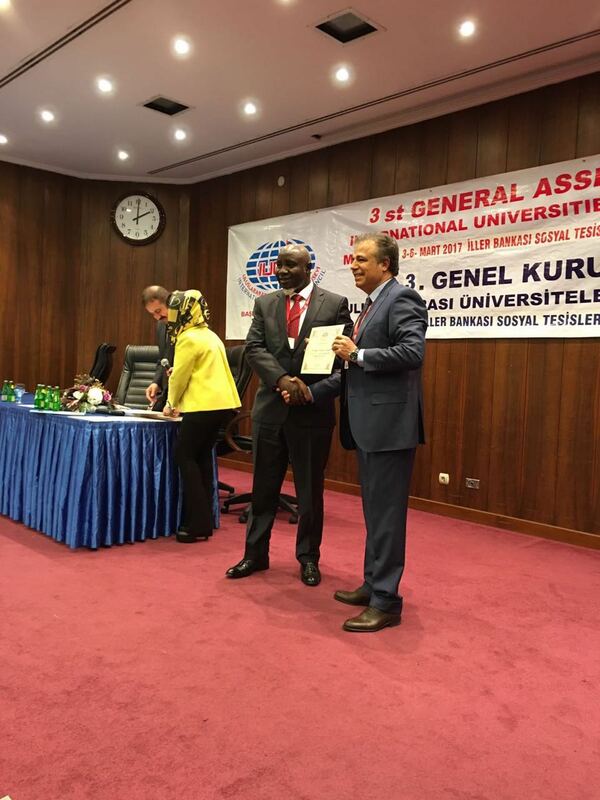 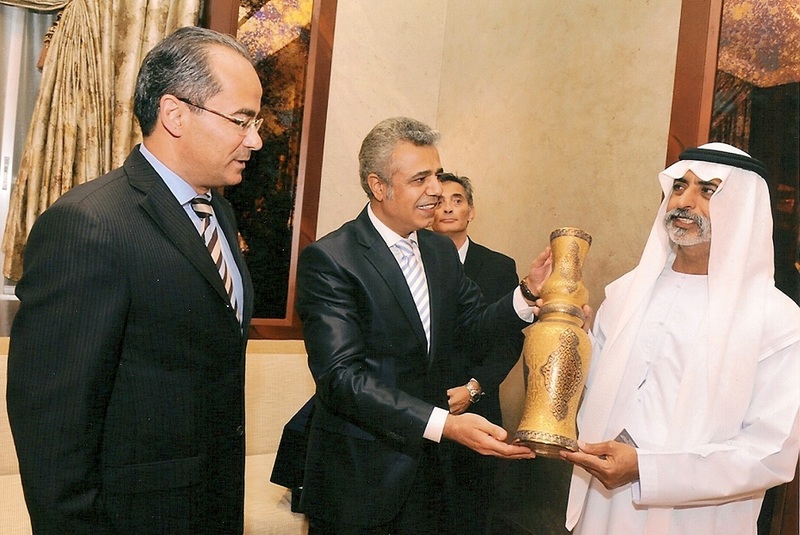 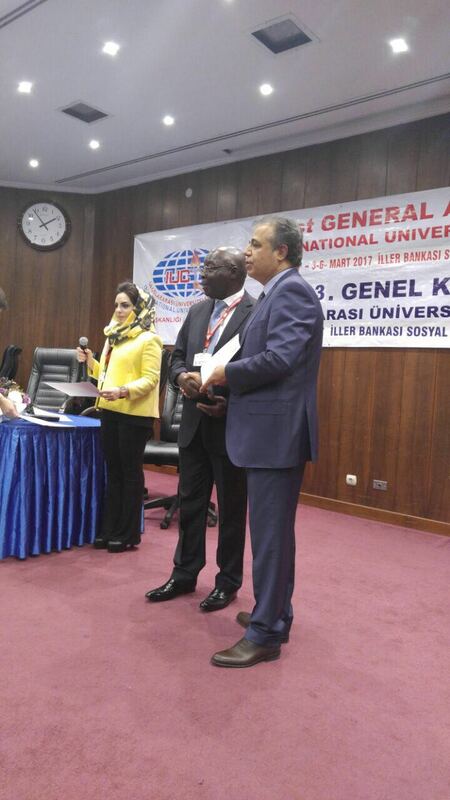 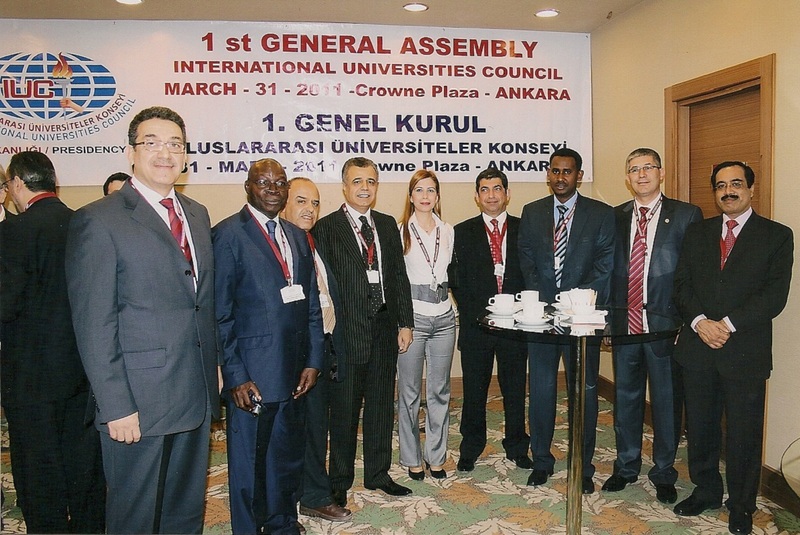 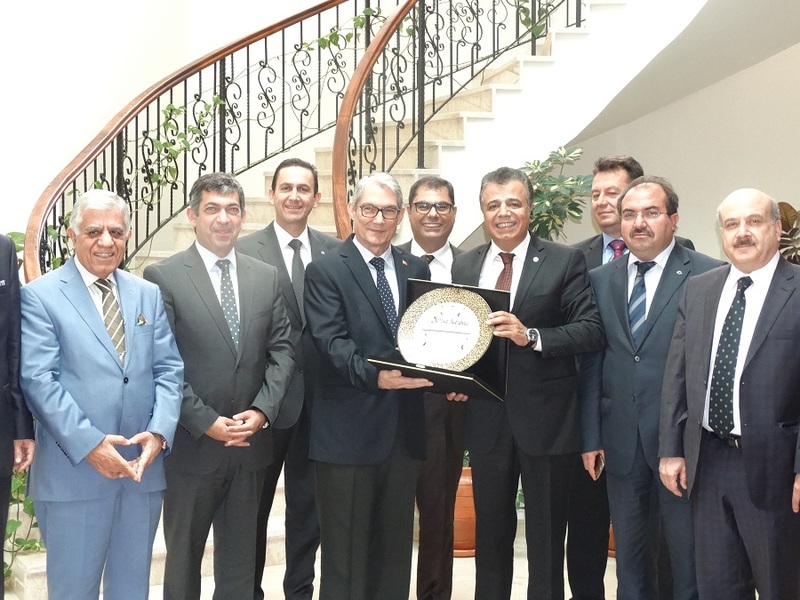 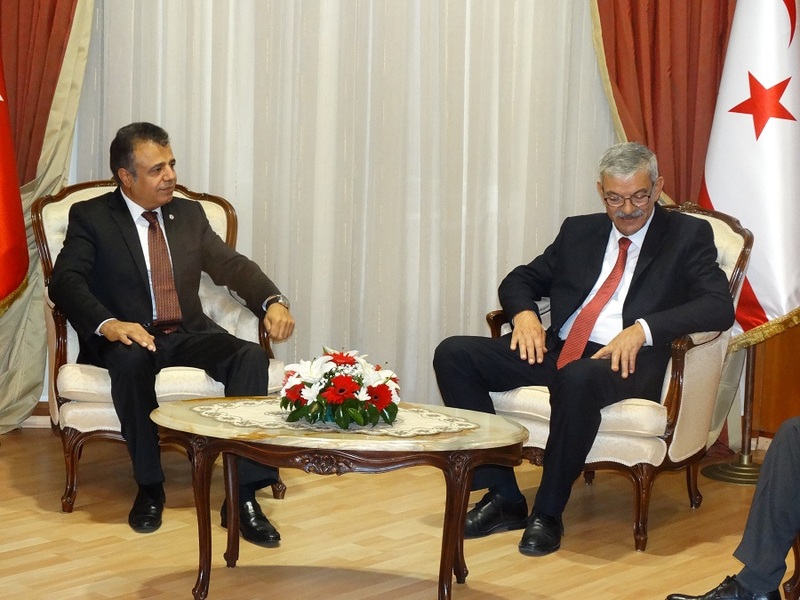 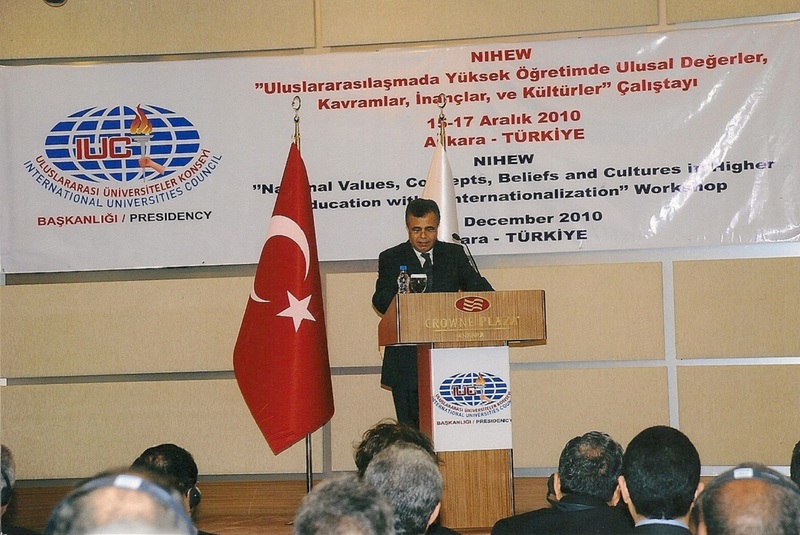 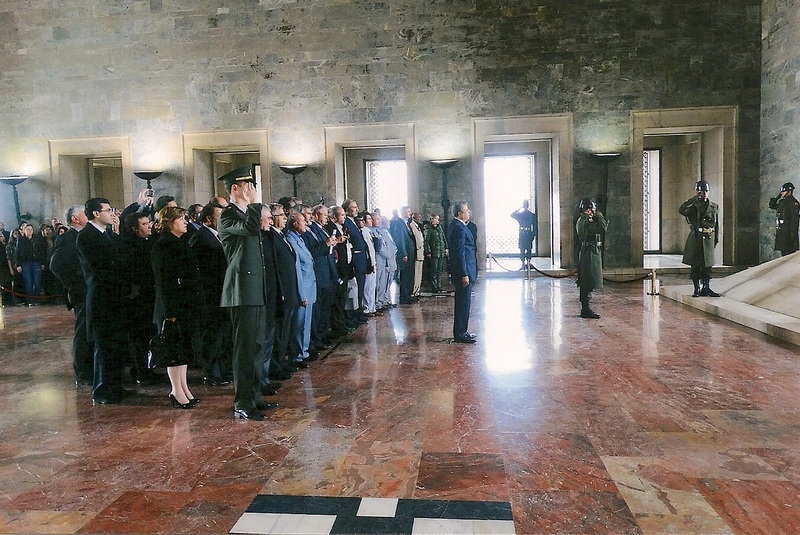 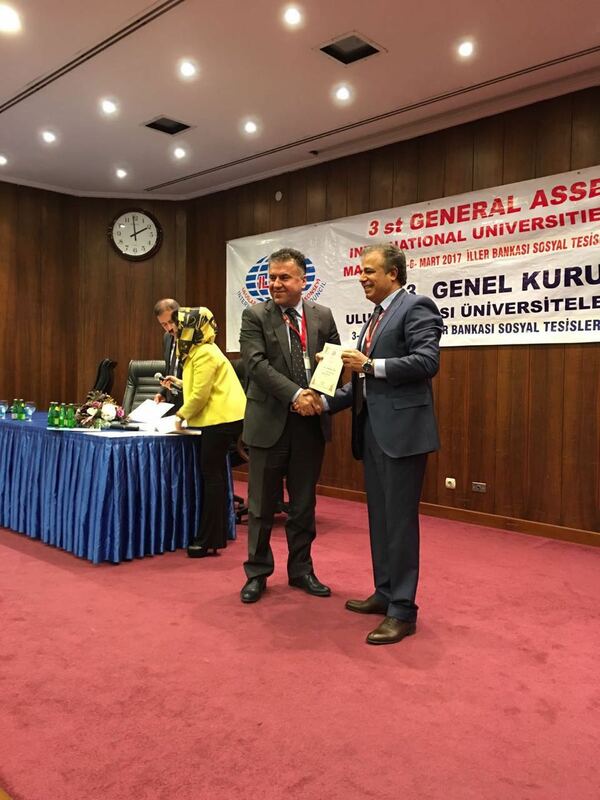 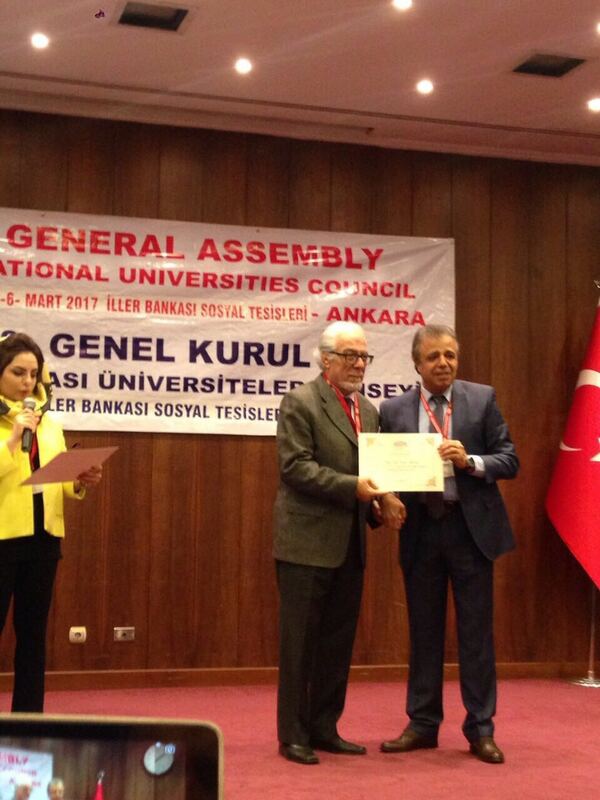 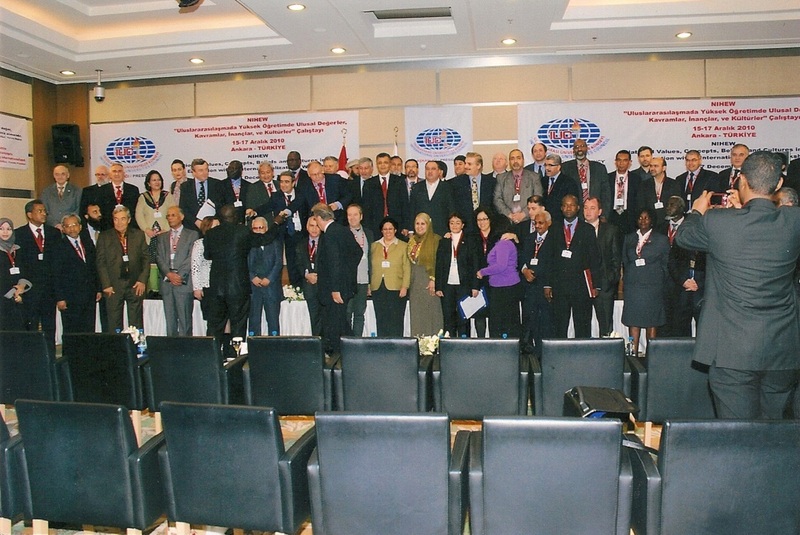 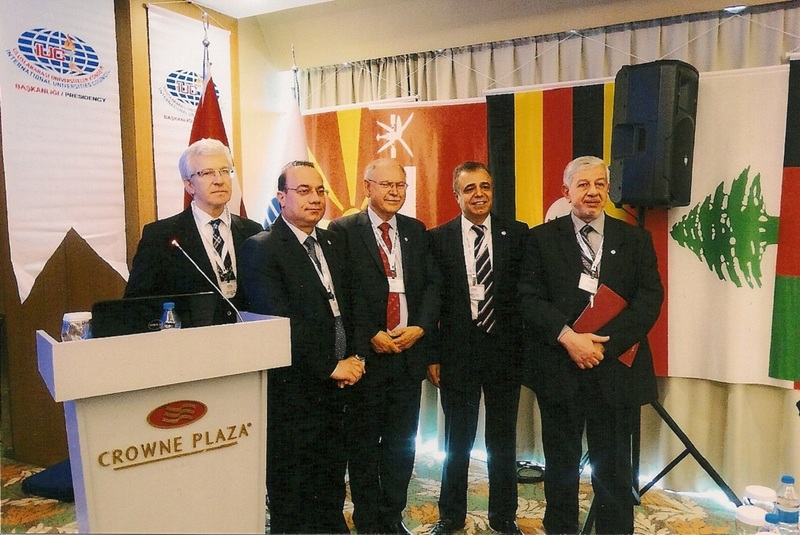 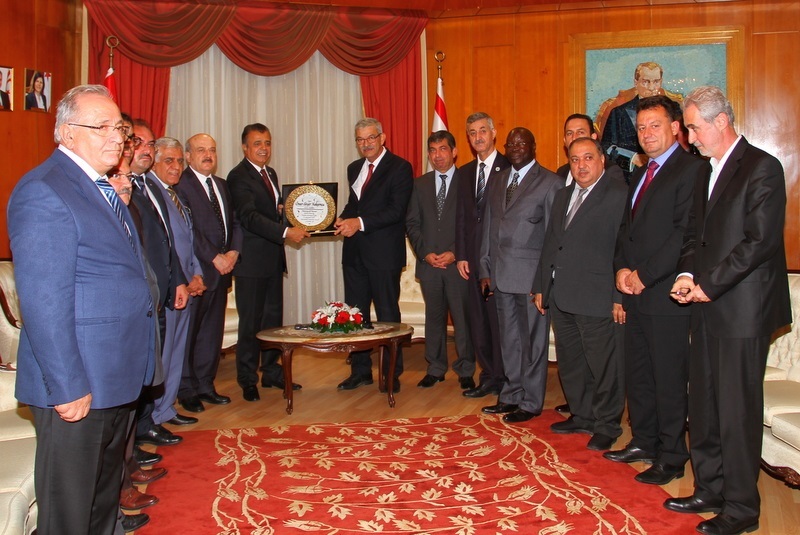 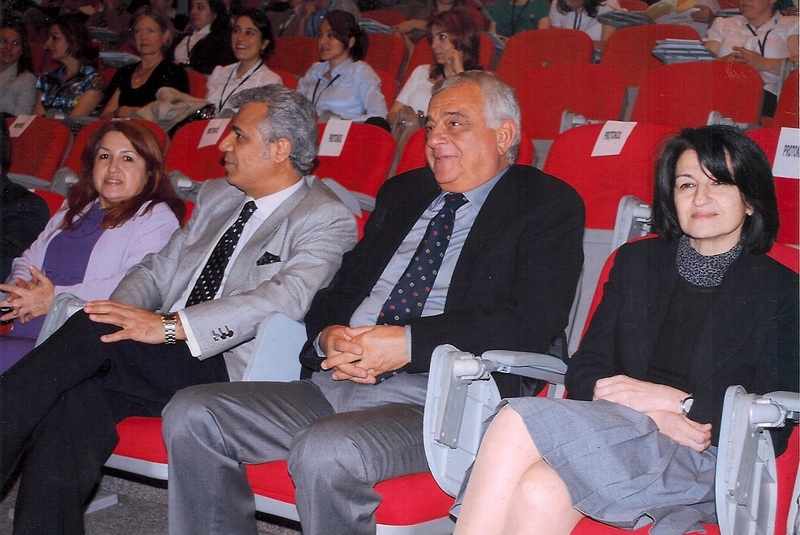 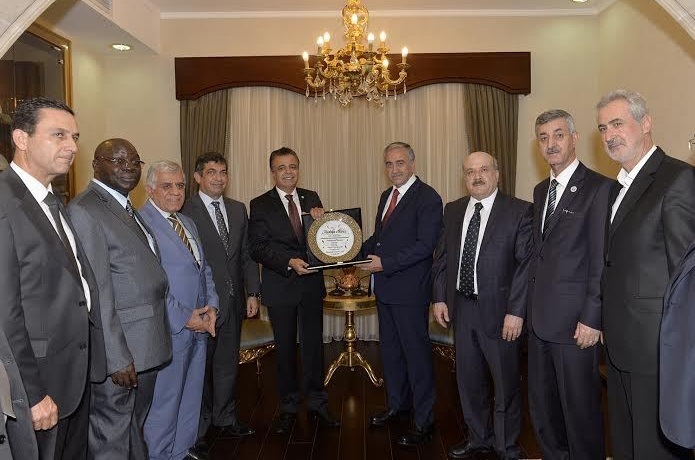 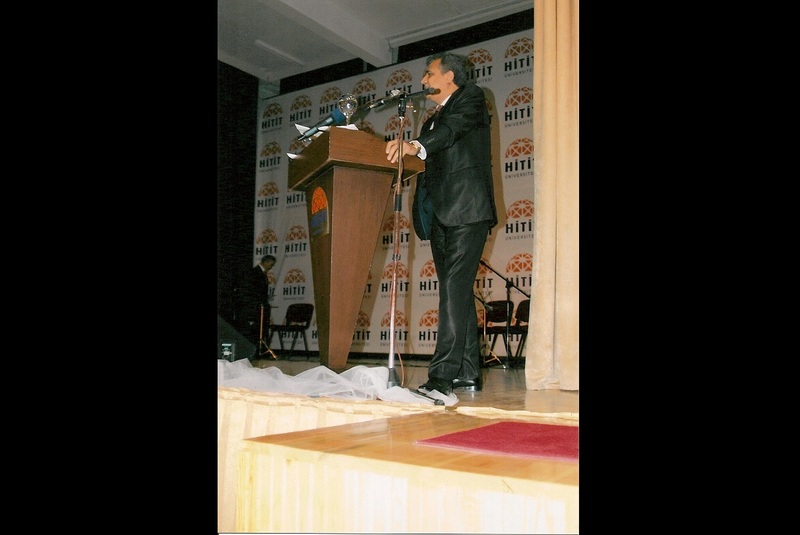 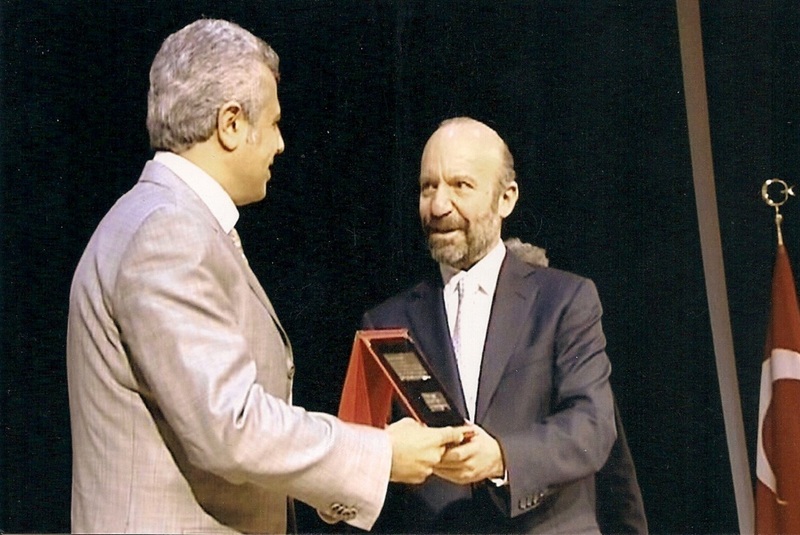 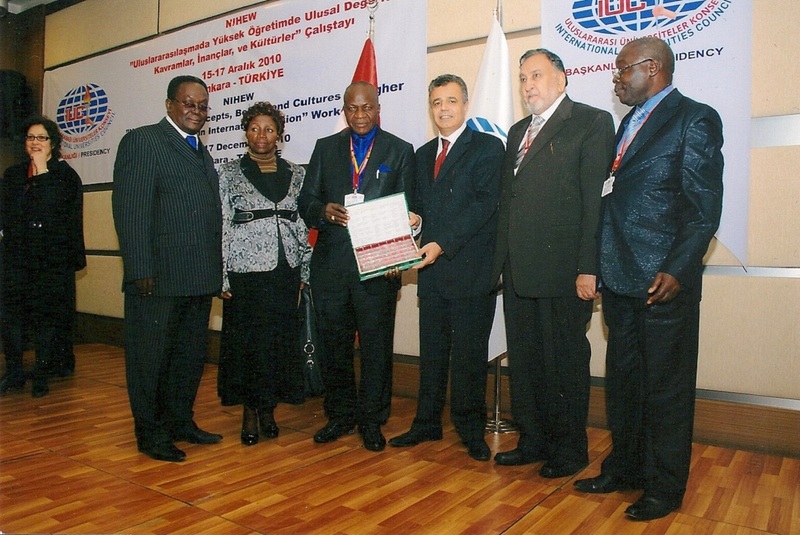 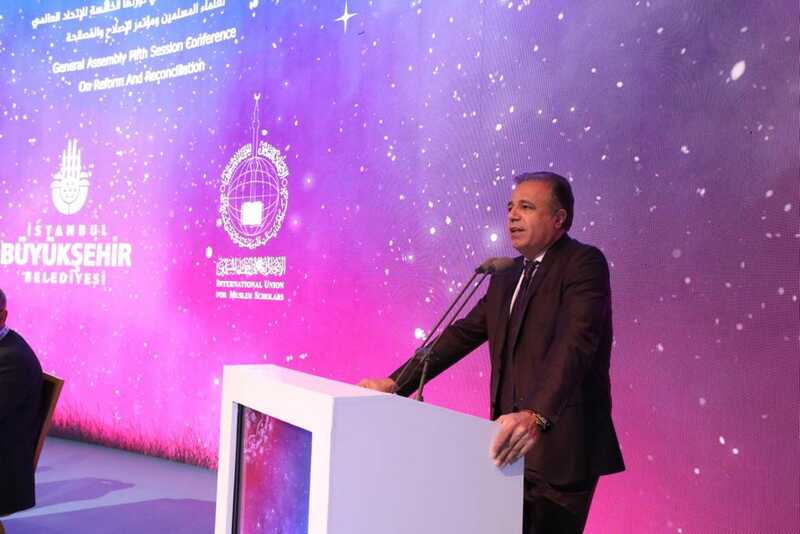 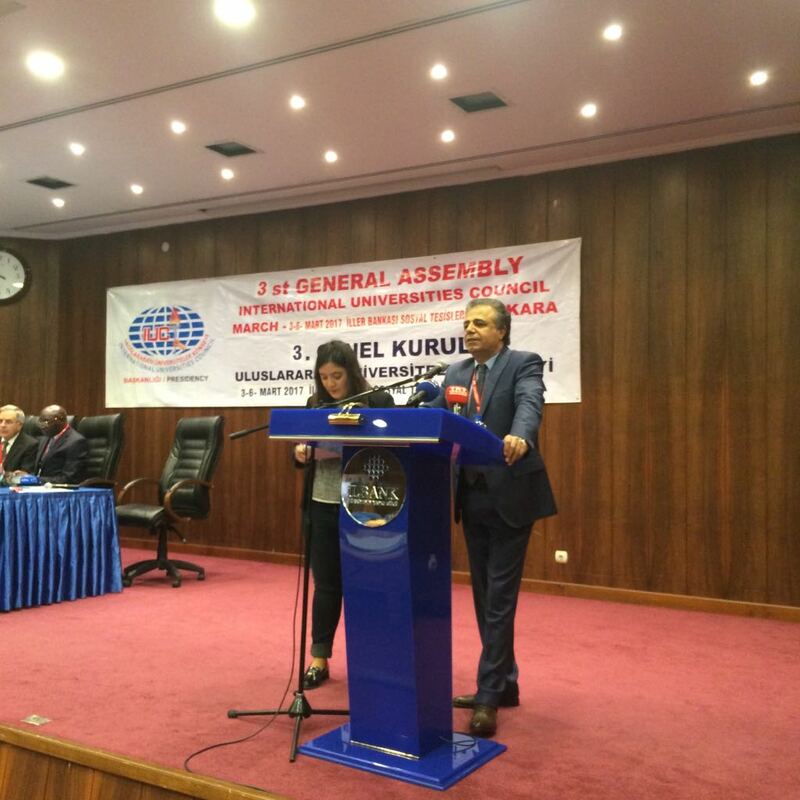 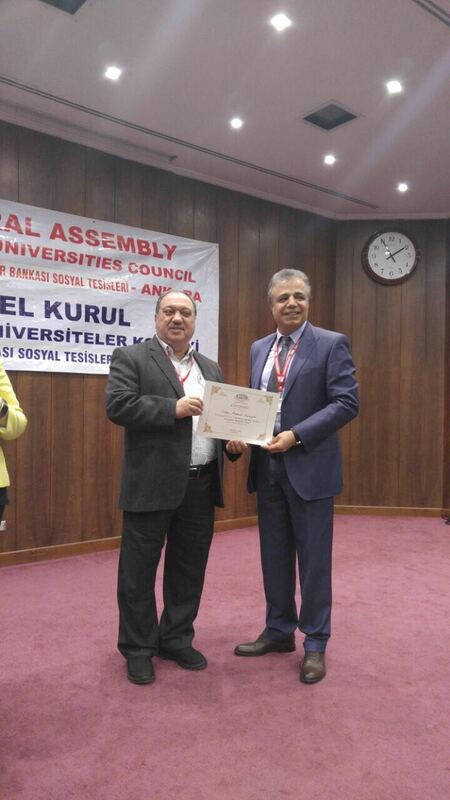 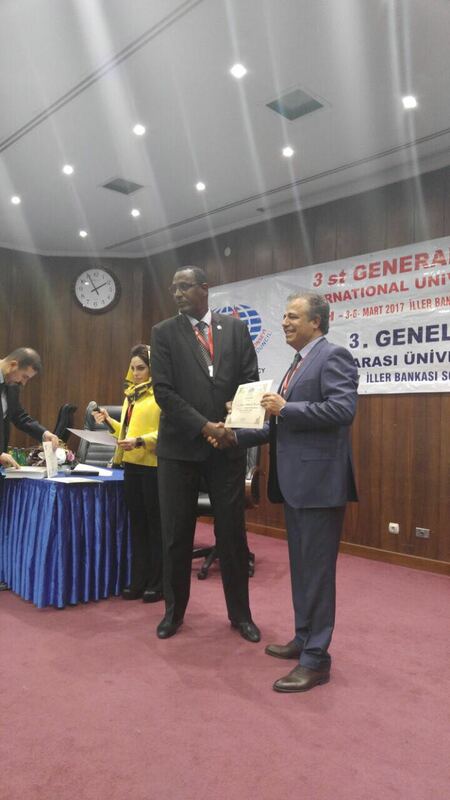 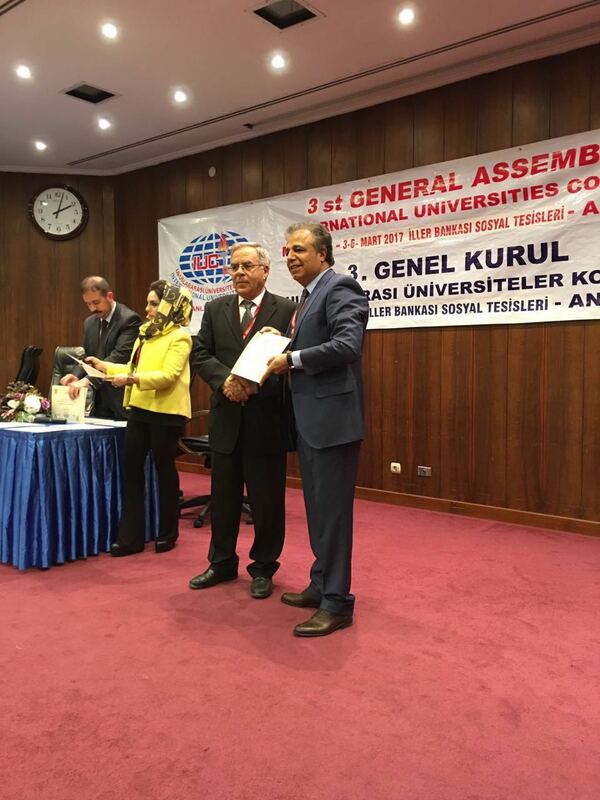 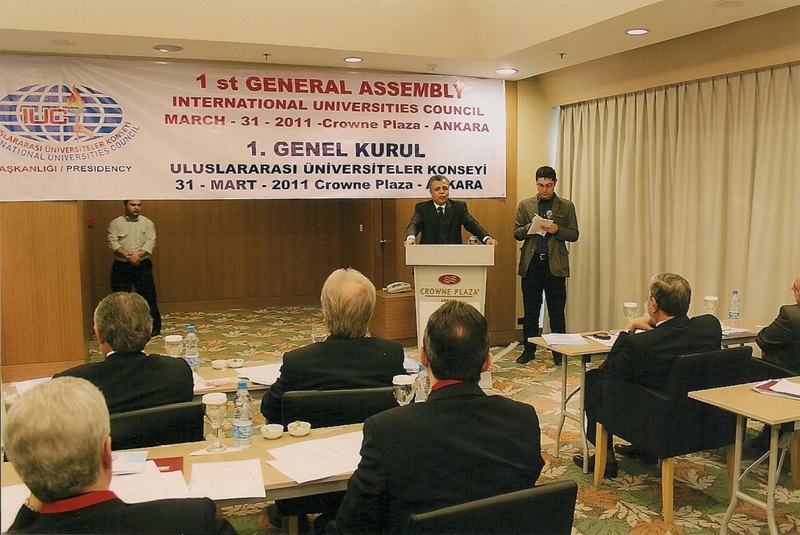 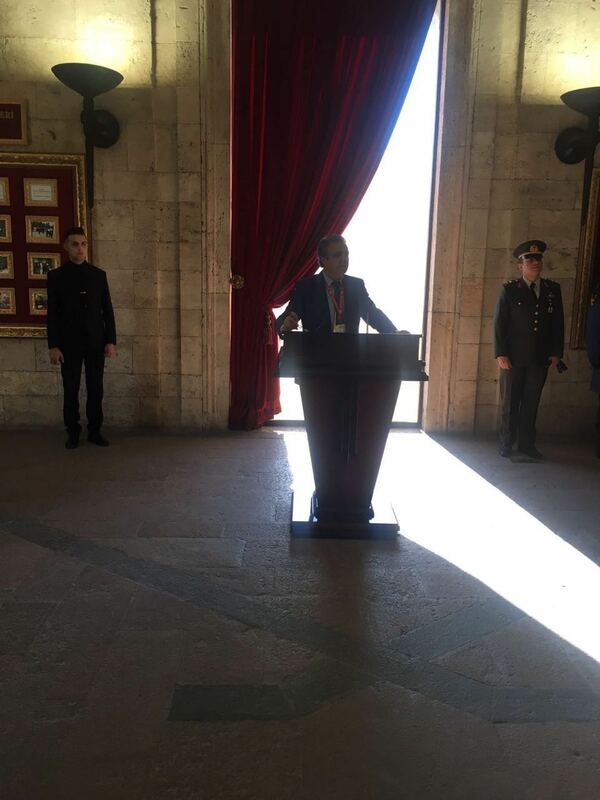 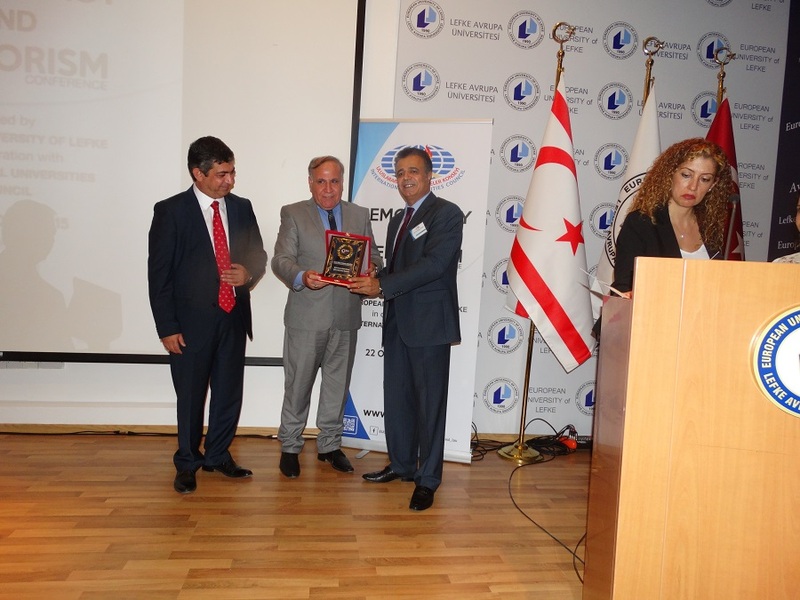 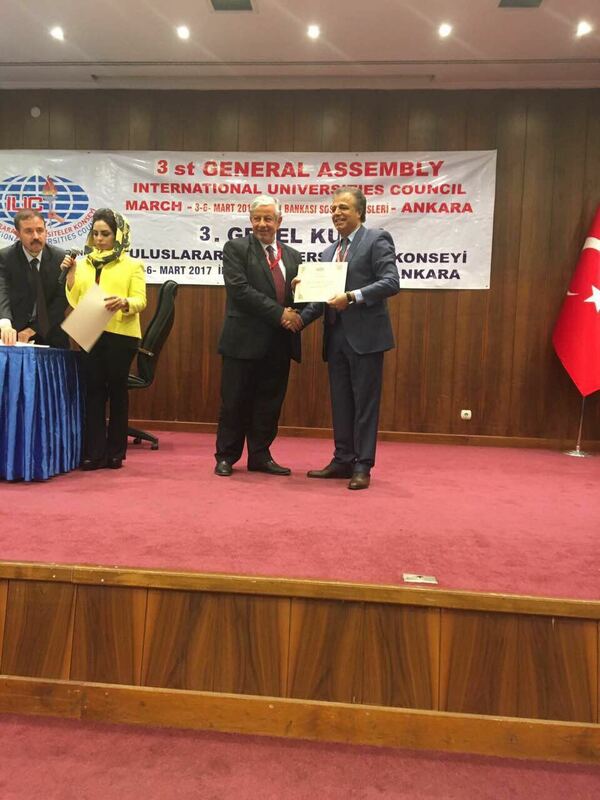 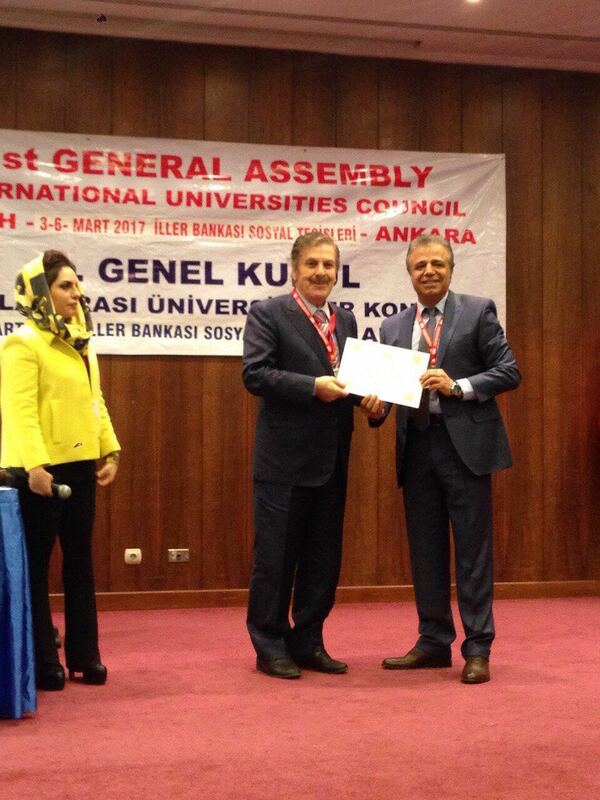 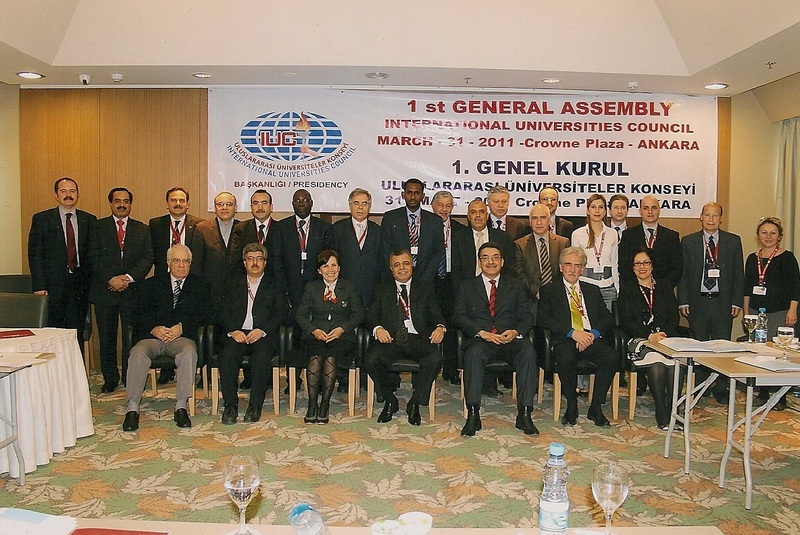 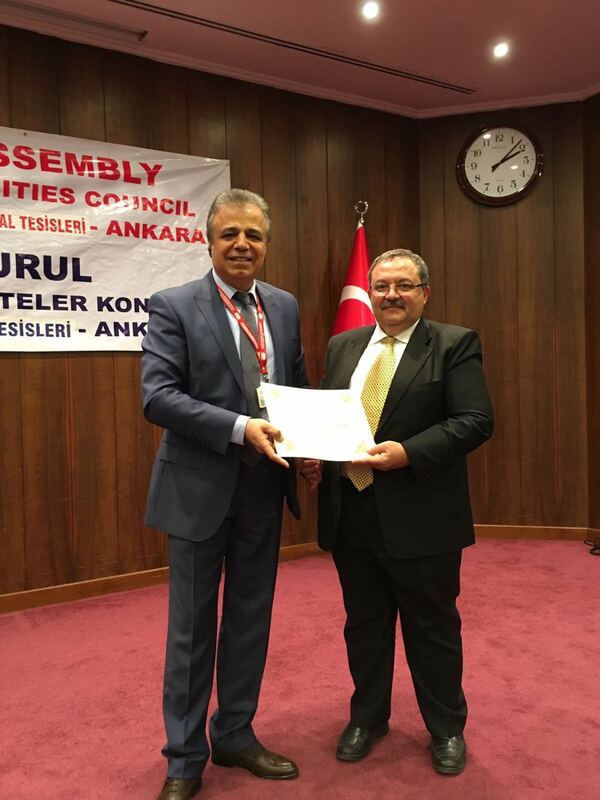 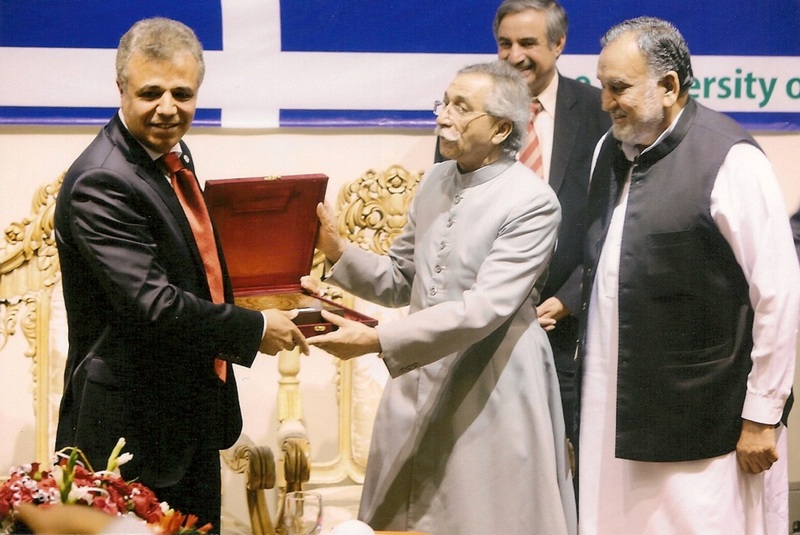 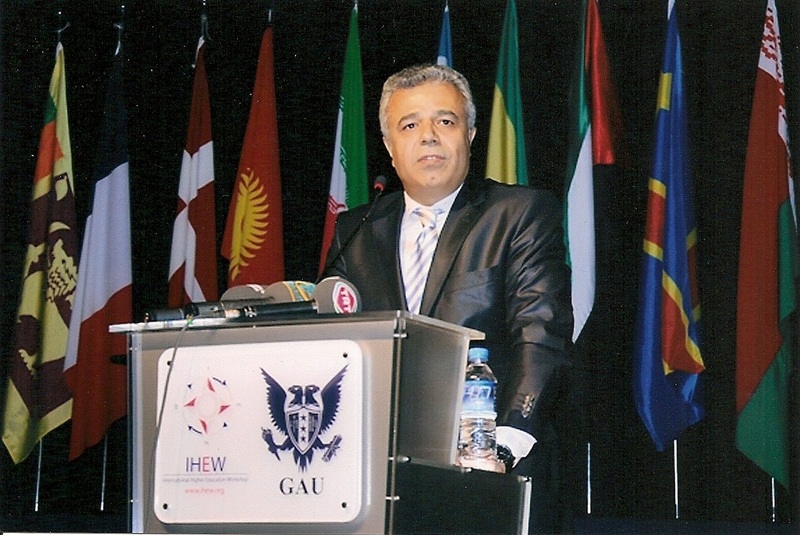 Acceptance of Orhan Hikmet Azizoğlu, Chairman of International Universities Council by Derviş Eroğlu, President of the Turkish Republic of Northern Cyprus. 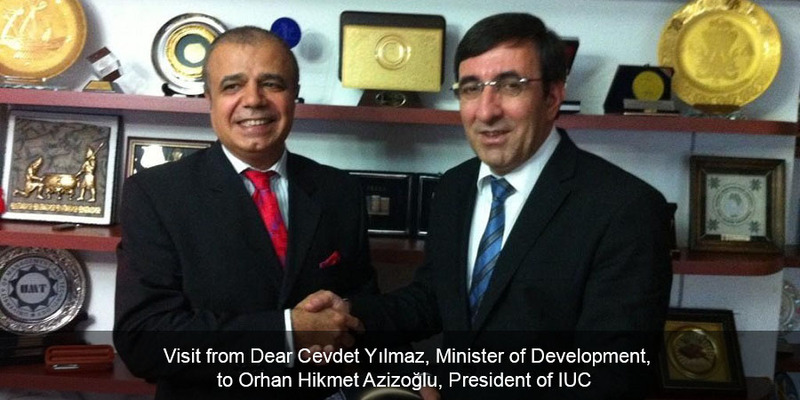 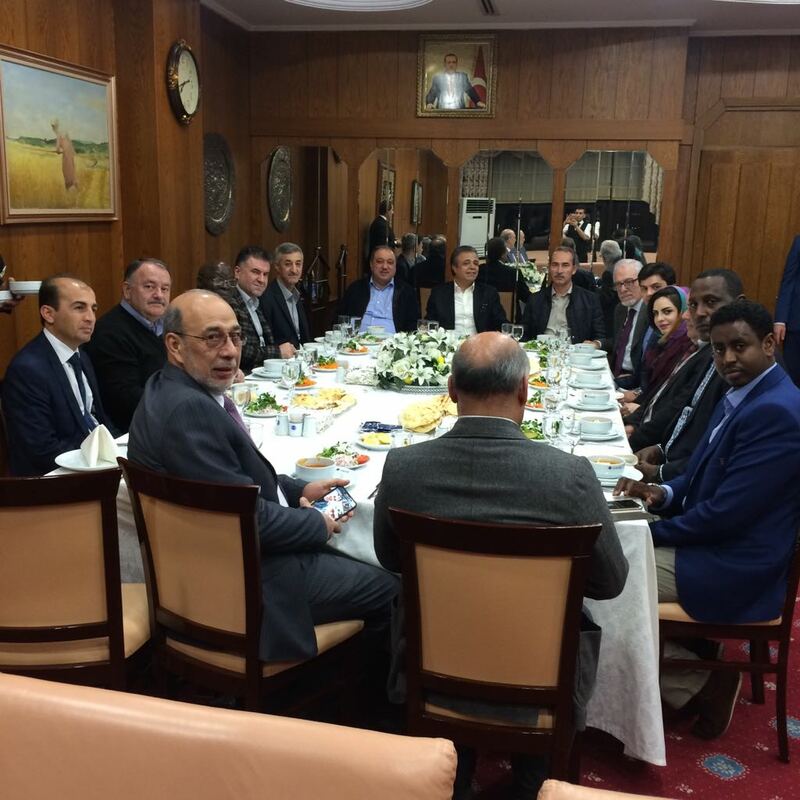 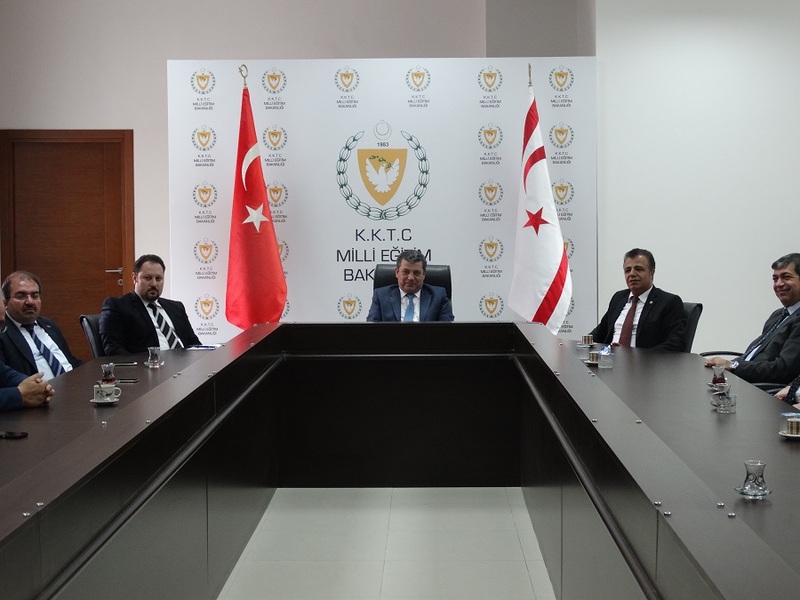 Deputy ambassador of Sudan, Osman Mohammed Elfaki Musa with accompanying Committee has visited President of International Universities Council Orhan Hikmet Azizoğlu in his Office. 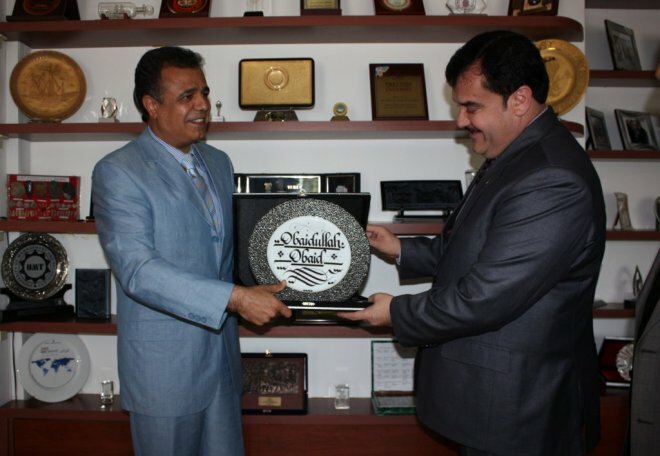 Visit of Orhan Hikmet Azizoğlu, President of International Universities Council to Mehmet Akif İnam, Republic of Turkey Erbil Consul General. 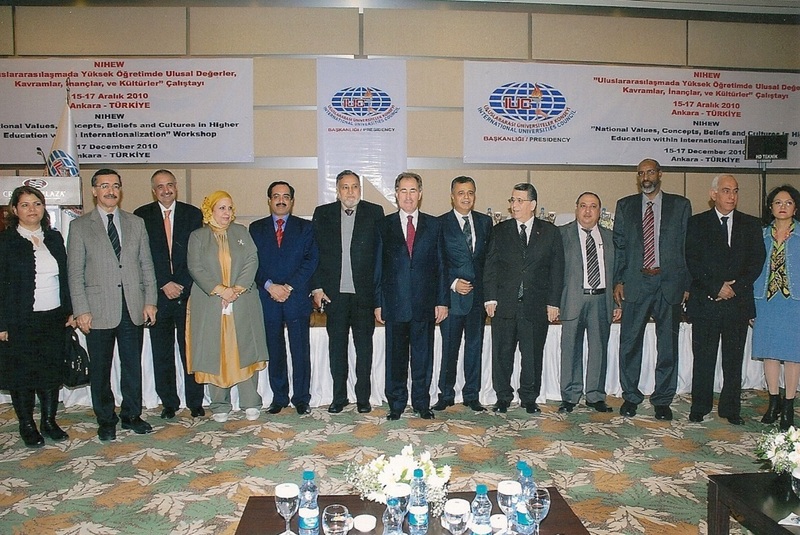 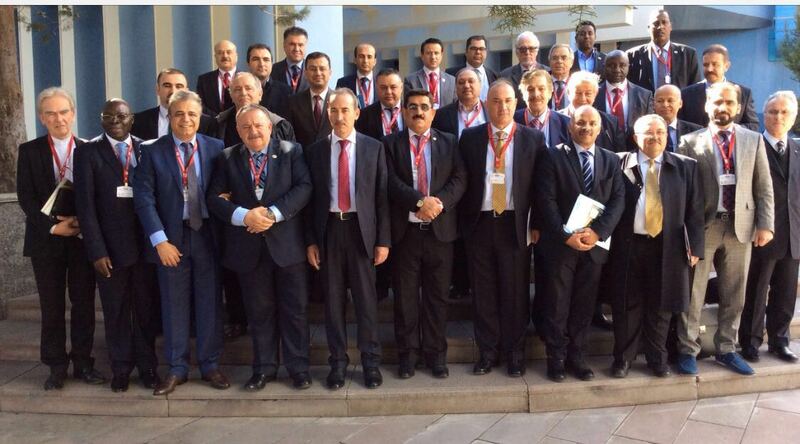 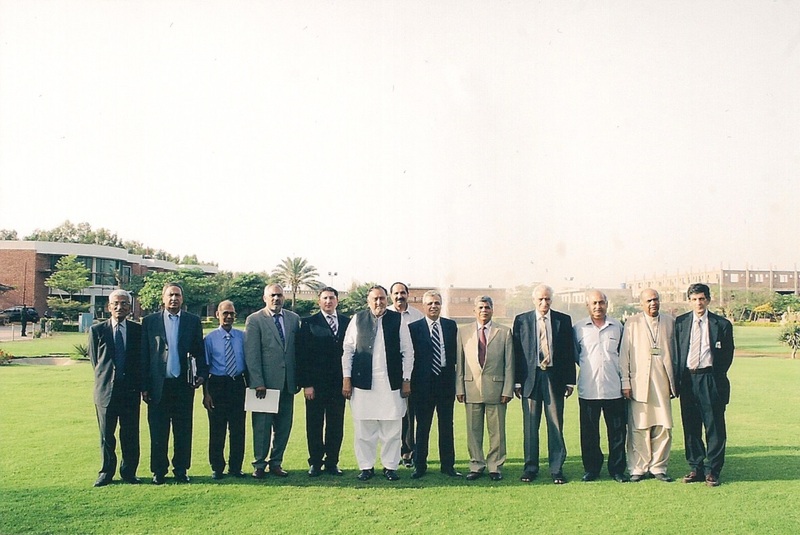 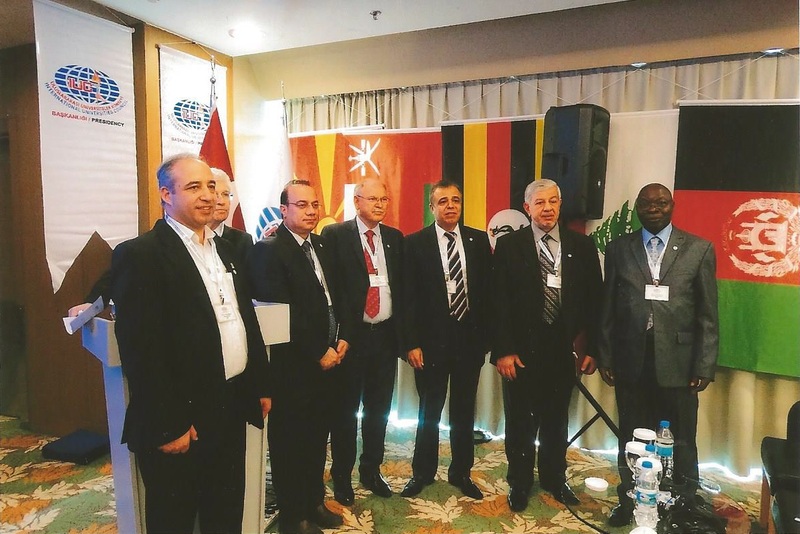 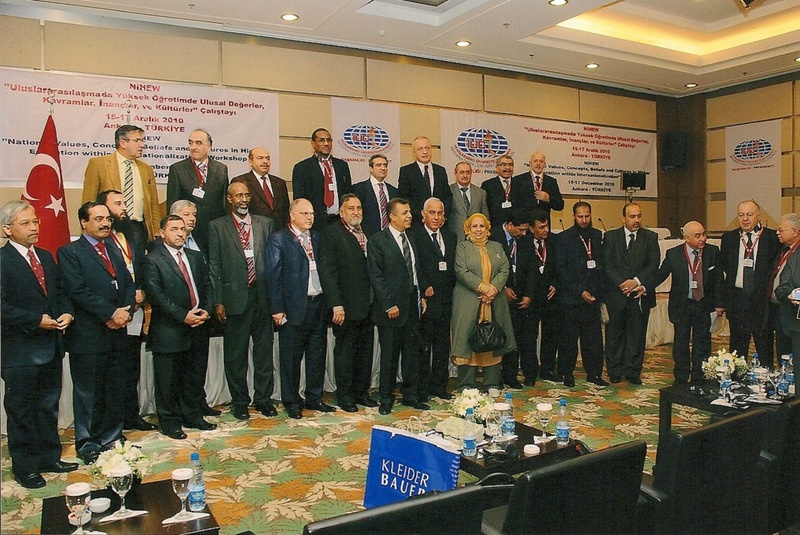 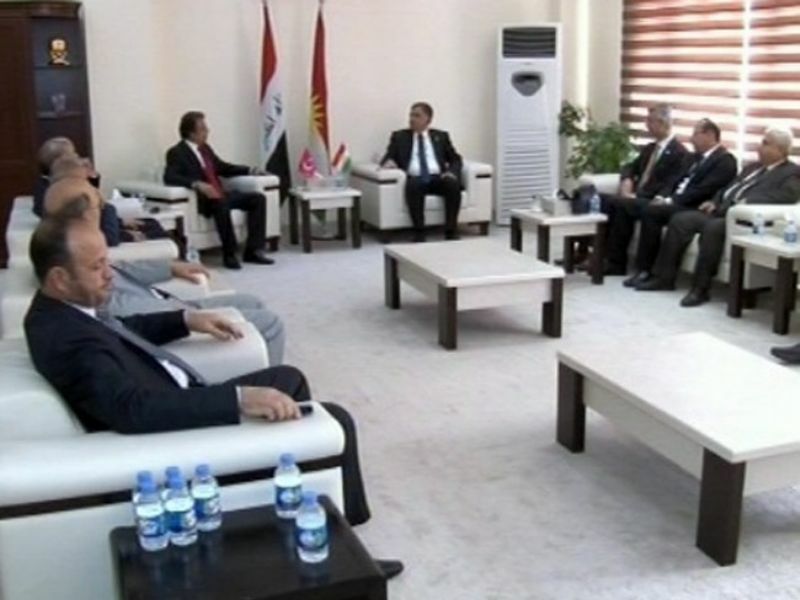 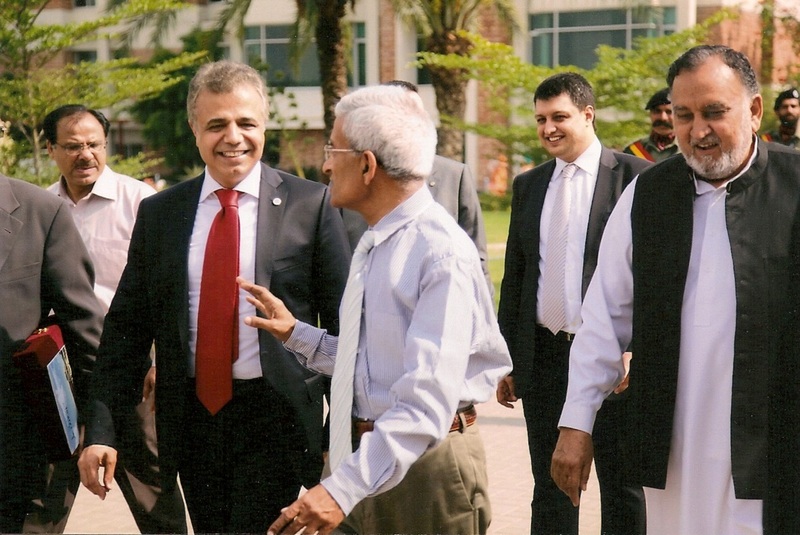 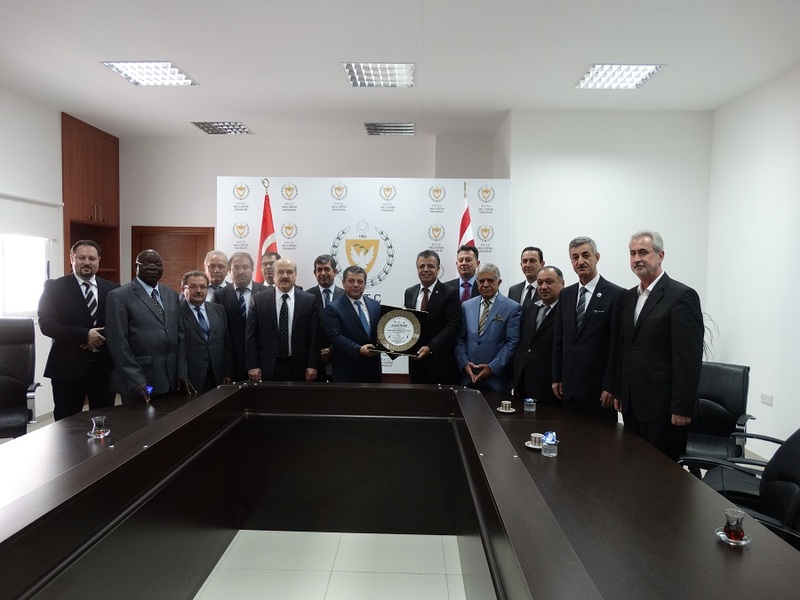 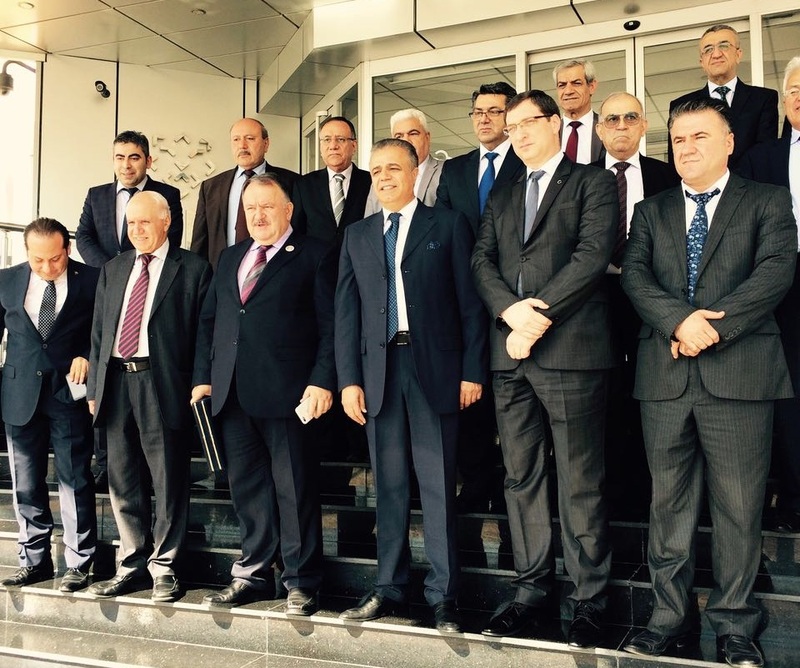 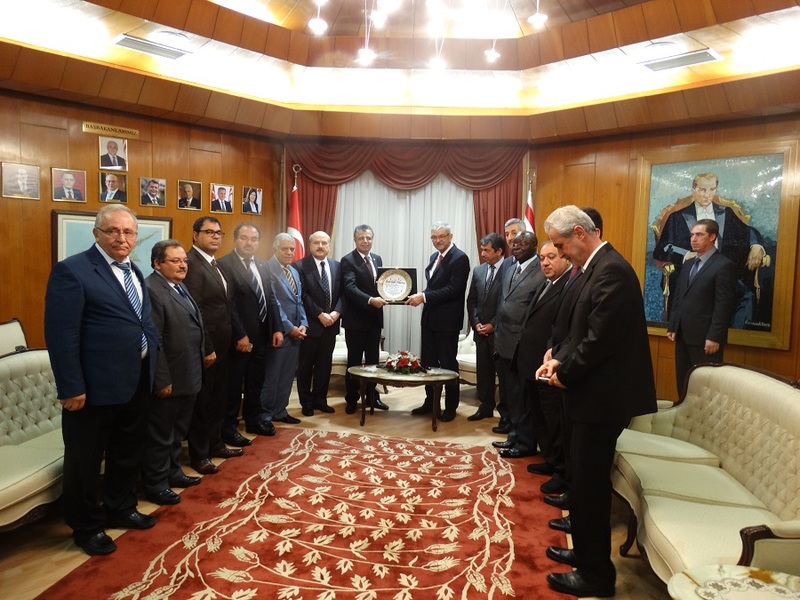 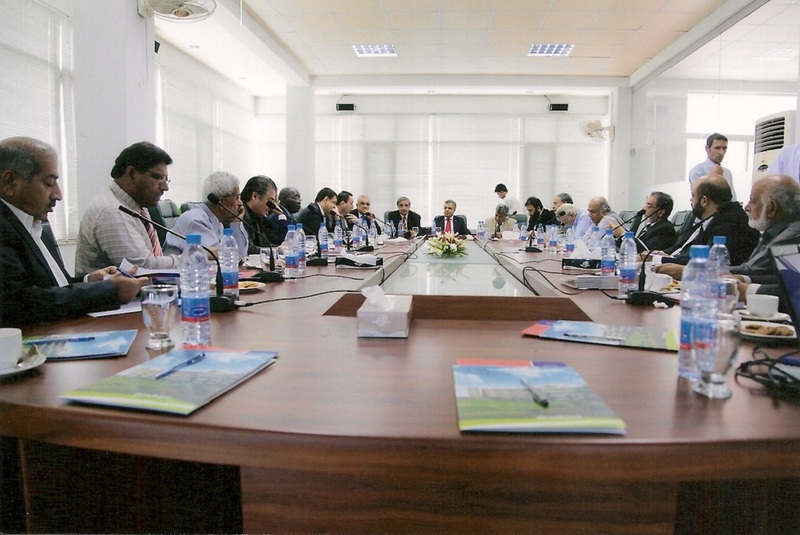 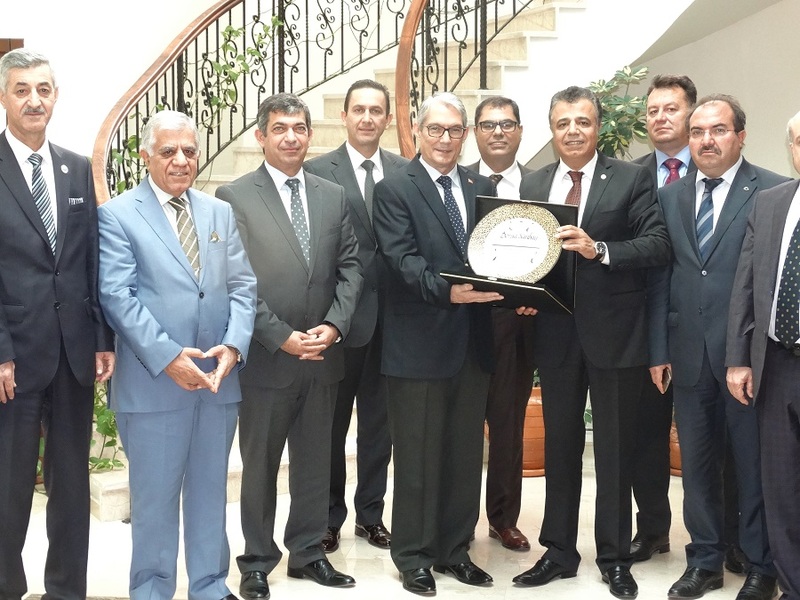 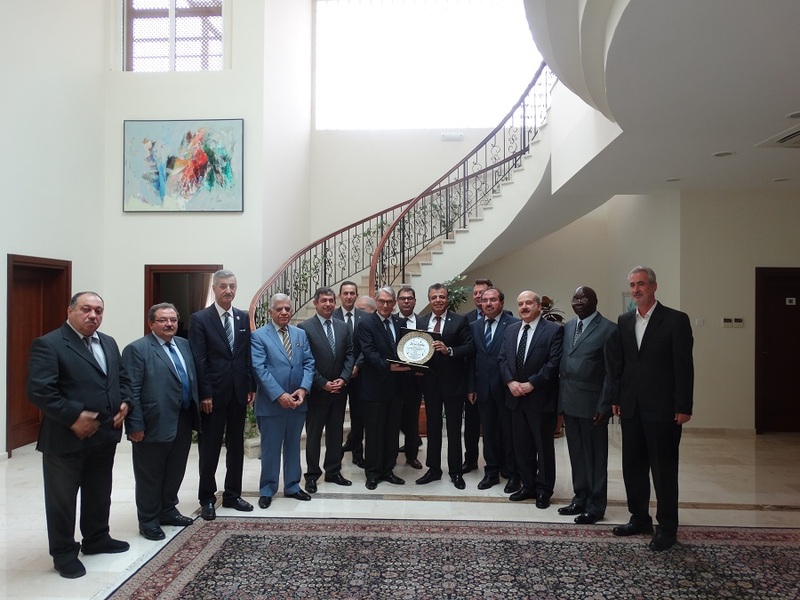 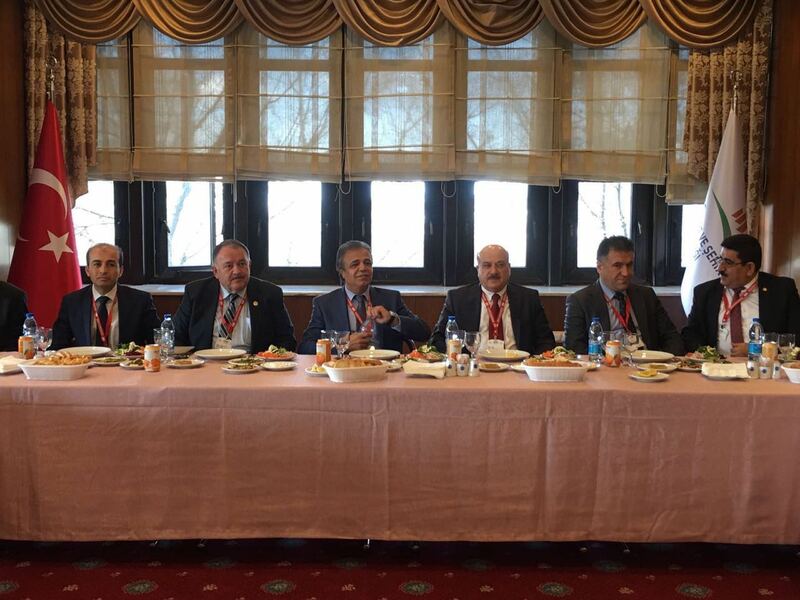 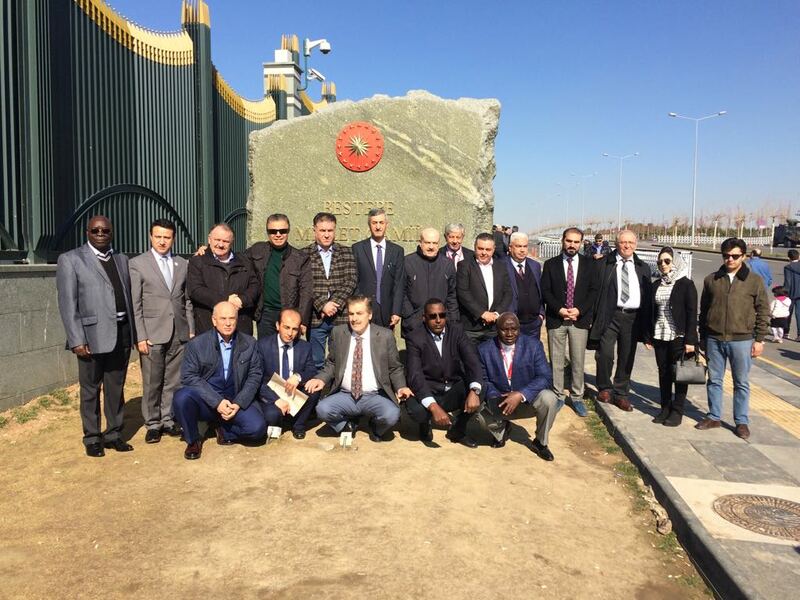 Chairman of International Universities Council Orhan Hikmet Azizoğlu with together Rectors of Iraq Universities visited President of CoHE, Prof.Dr. 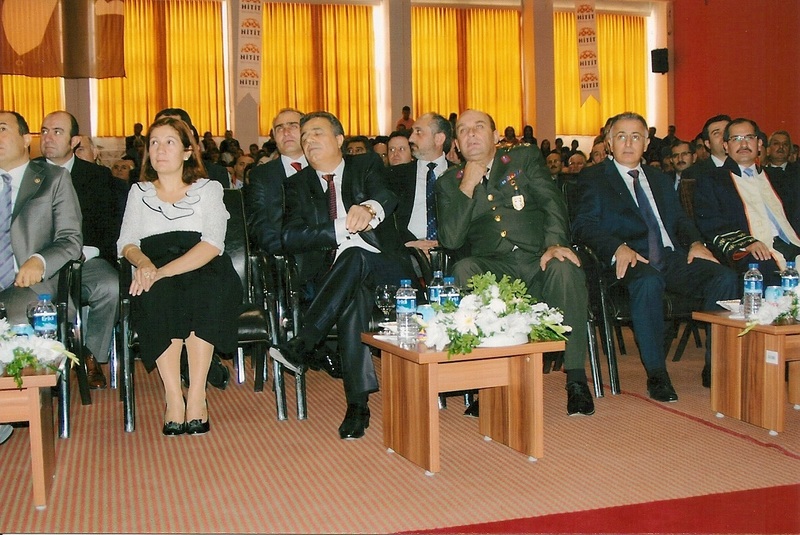 Yekta Saraç. 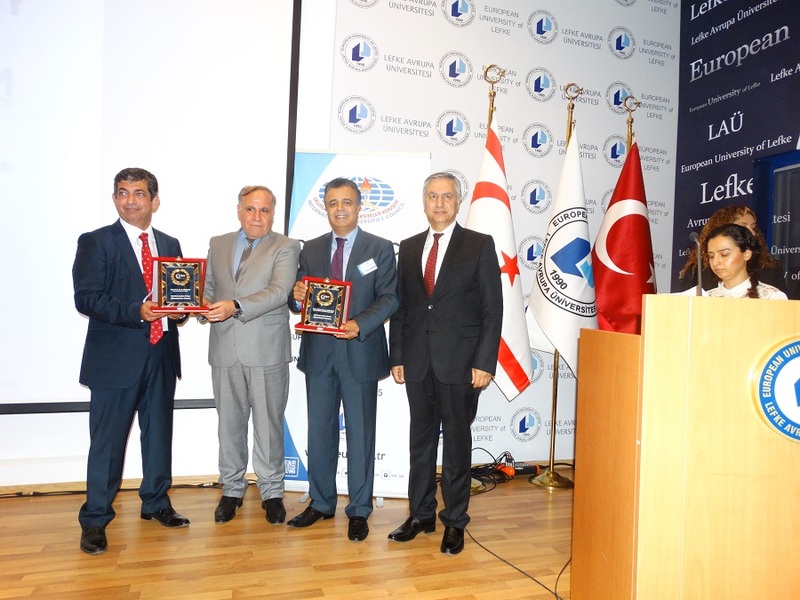 Academic Partnership meeting between President of IUC Orhan Hikmet Azizoğlu, IUC Member of Board of Directors and Holland Maastricht University Rector Prof. Dr. Peter P.de Gijsel, IUC Member of Board of Directors and Akdeniz University Rector Prof. Dr. İsrafil Kurtcephe. 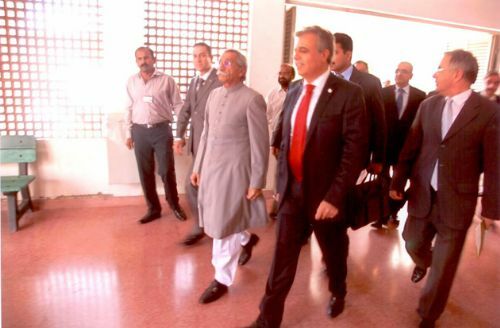 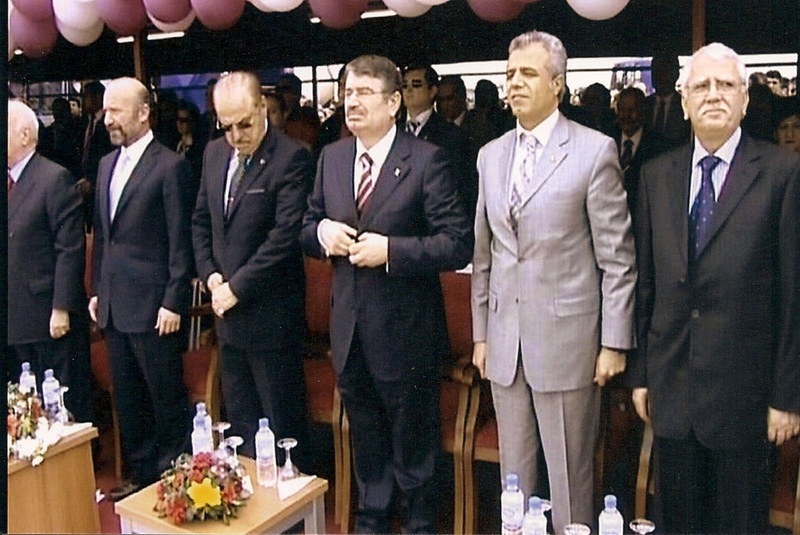 Visit of President of IUC Orhan Hikmet Azizoğlu to Fon University at Skopje. 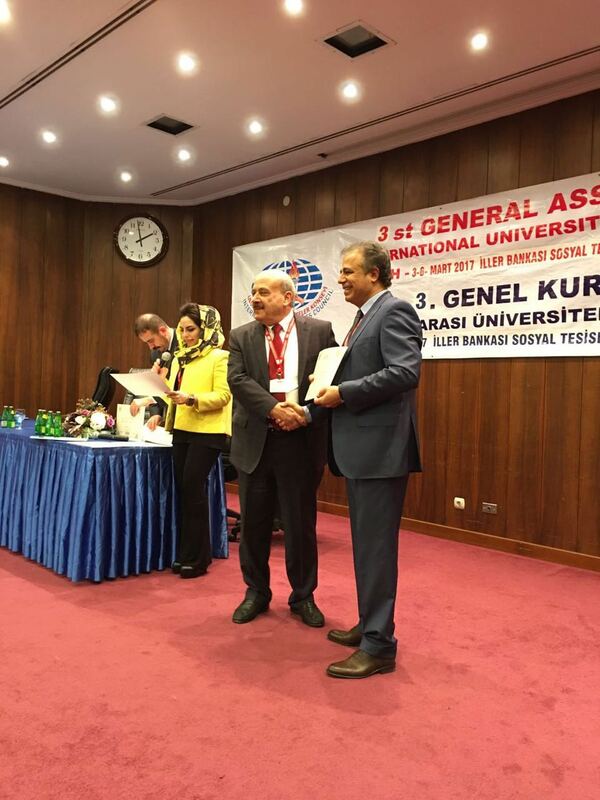 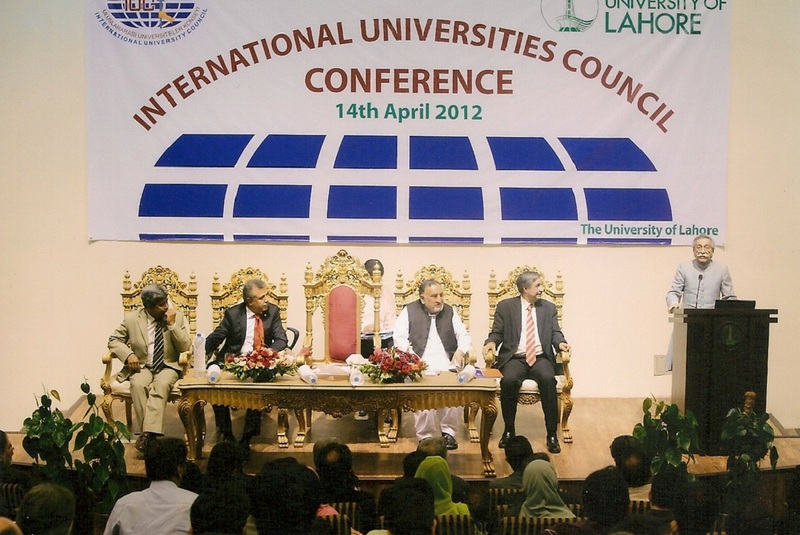 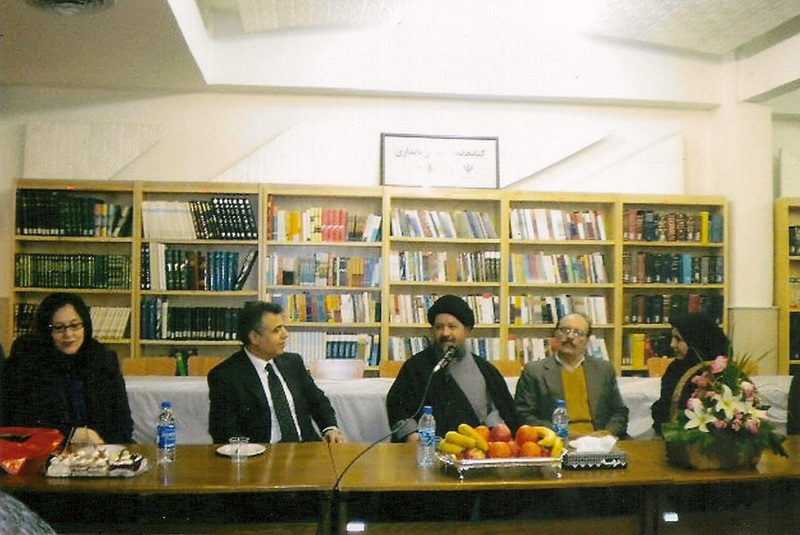 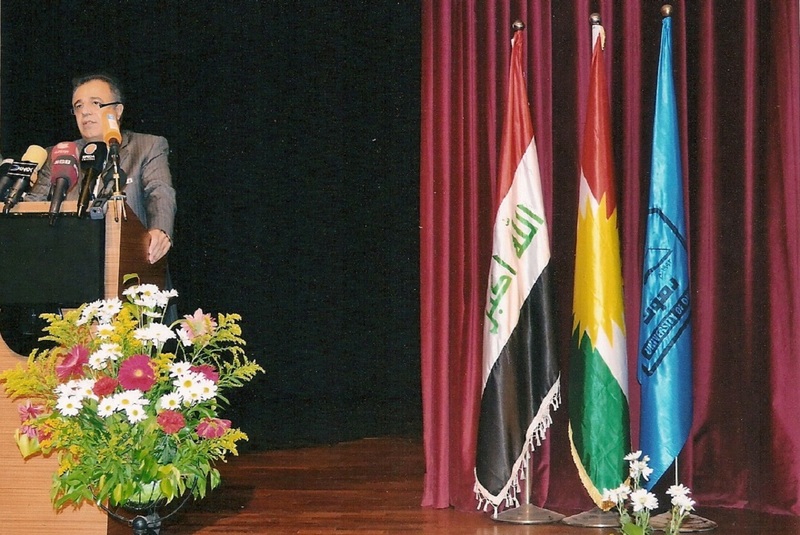 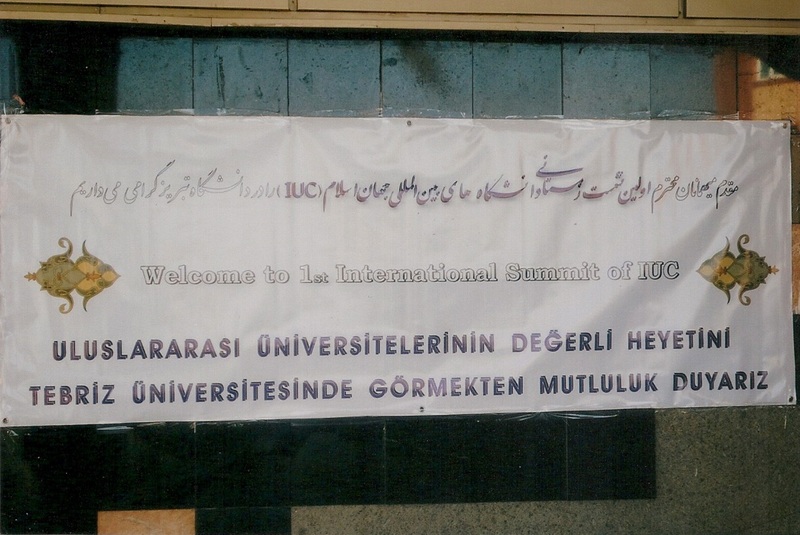 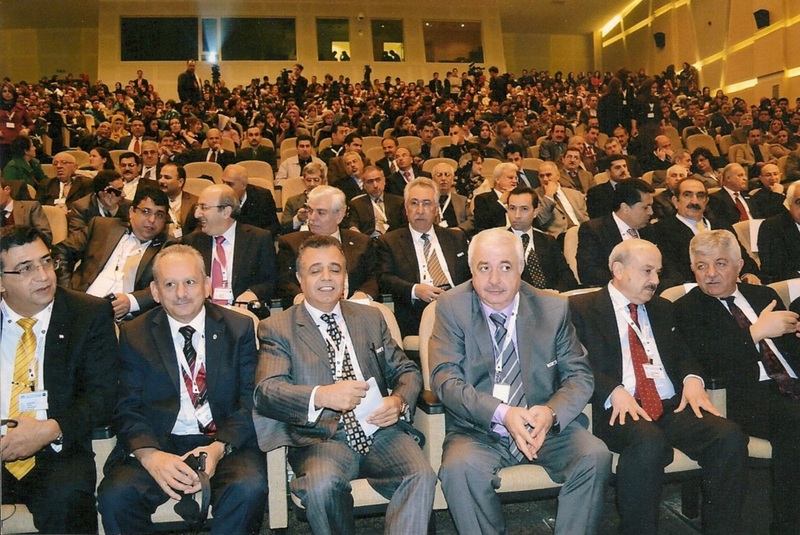 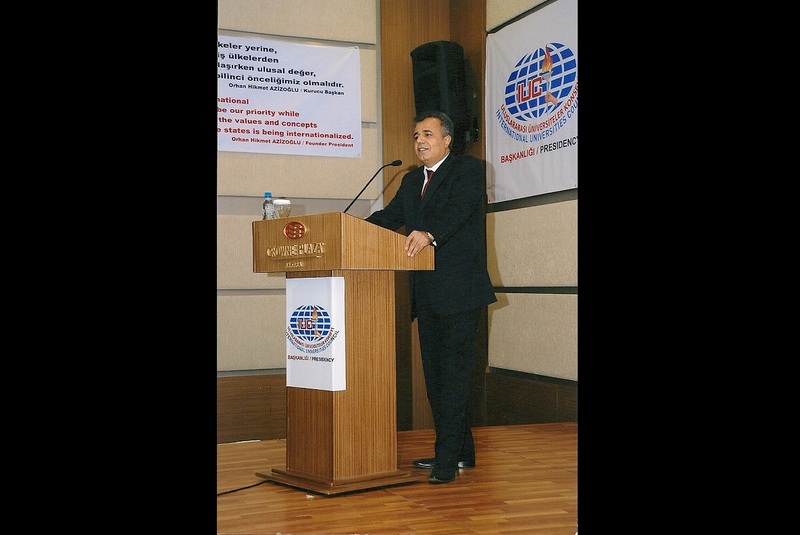 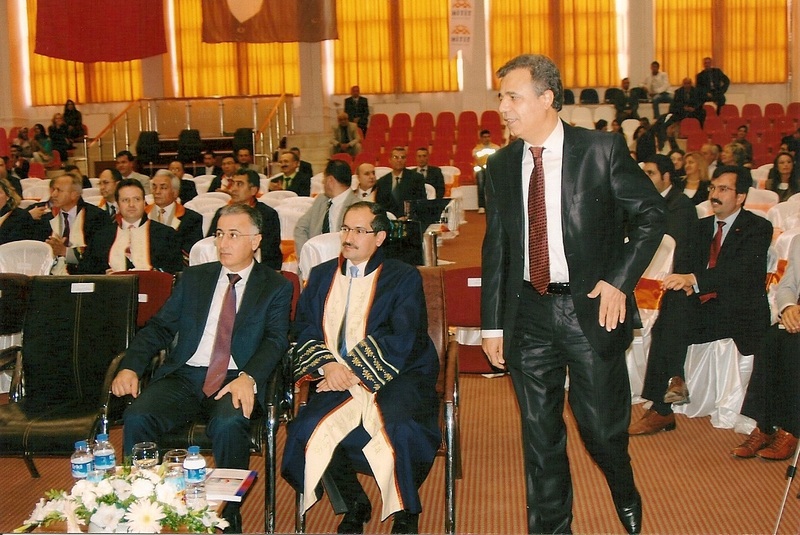 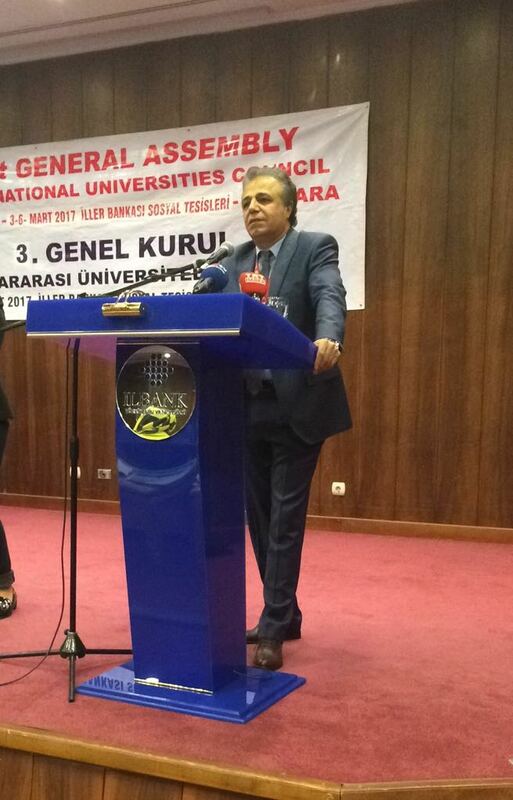 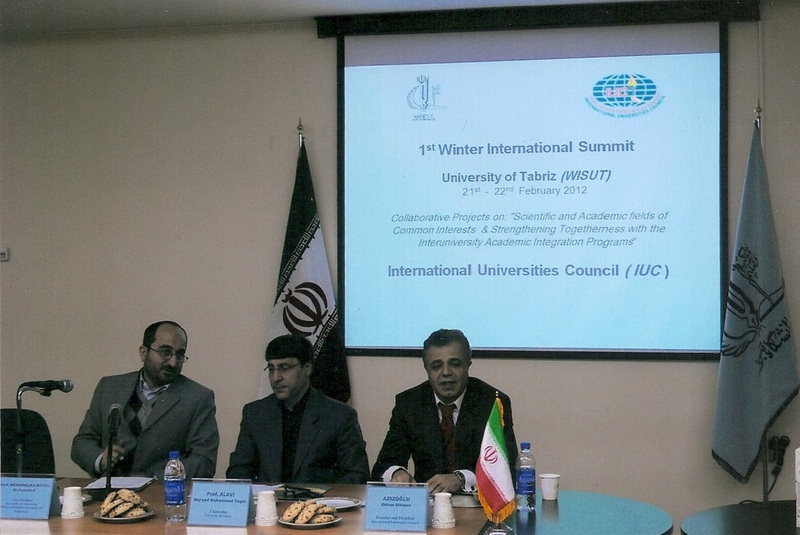 Conference of President of IUC Orhan Hikmet Azizoğlu at University of Zakho. 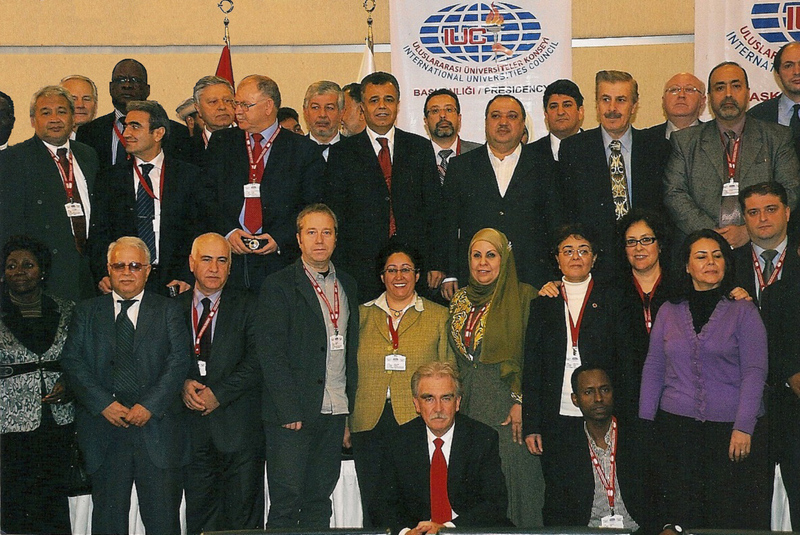 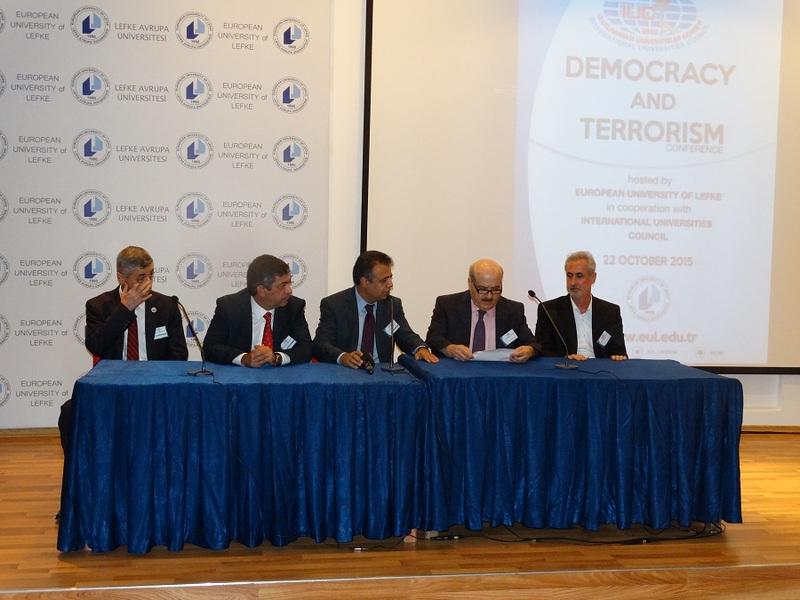 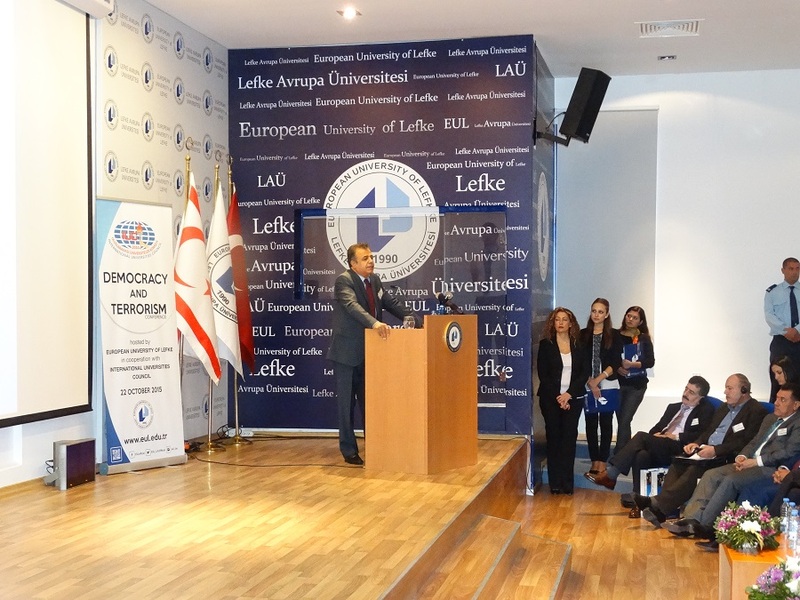 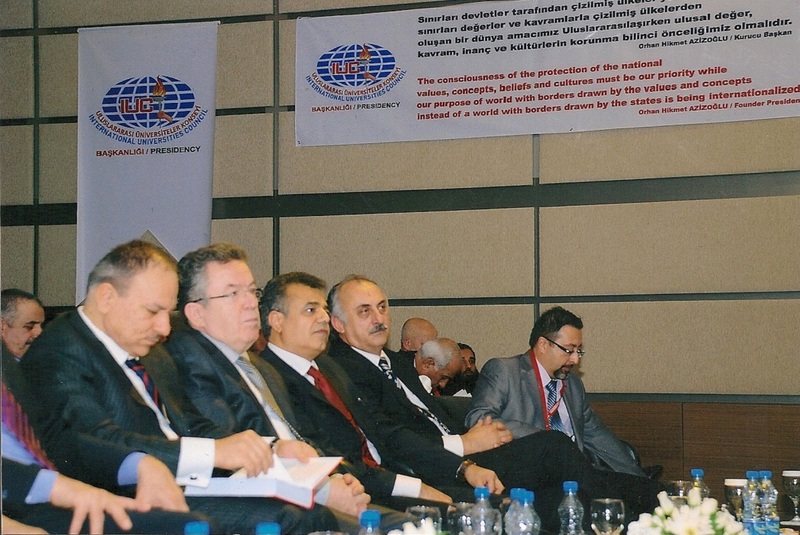 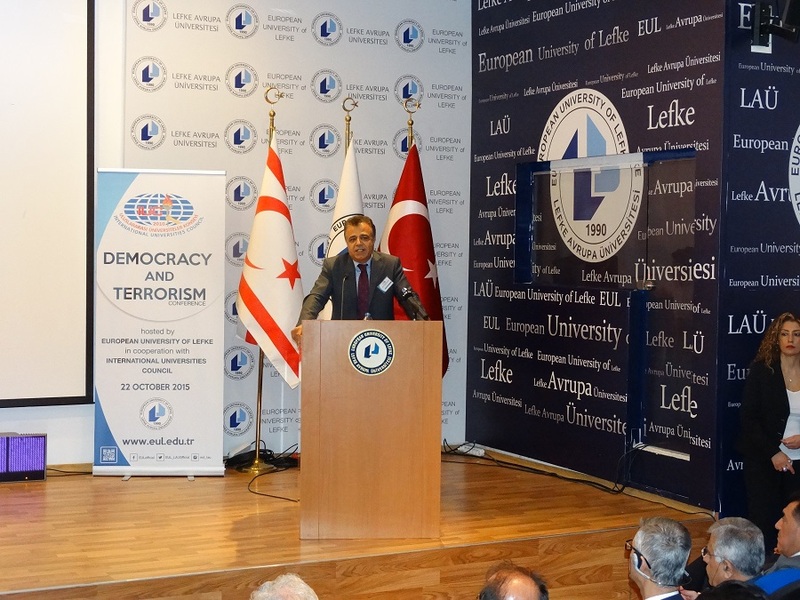 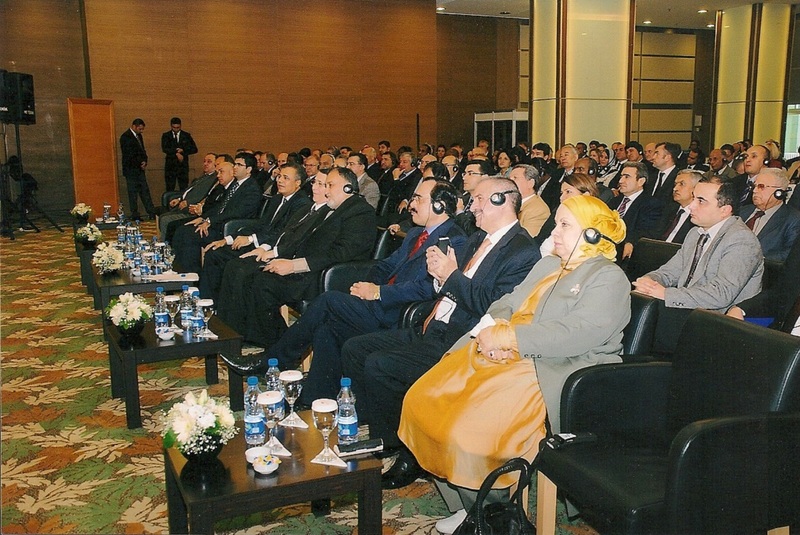 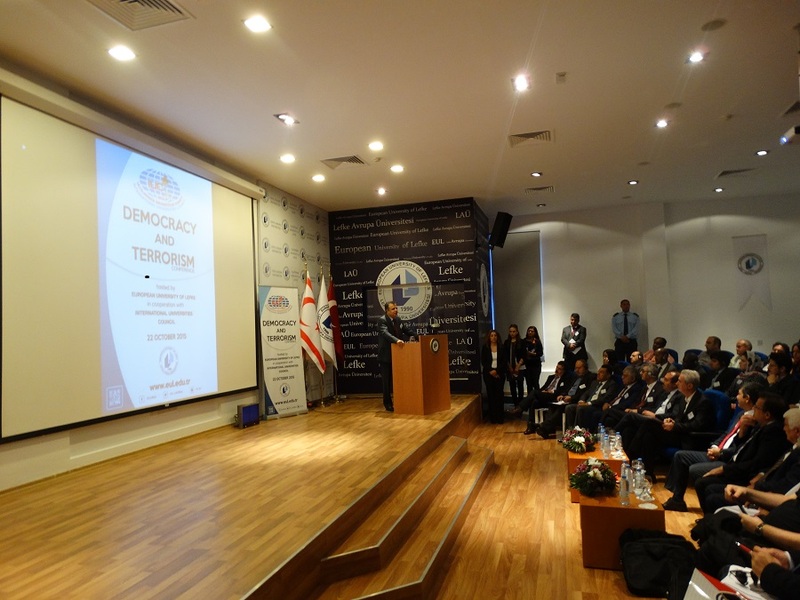 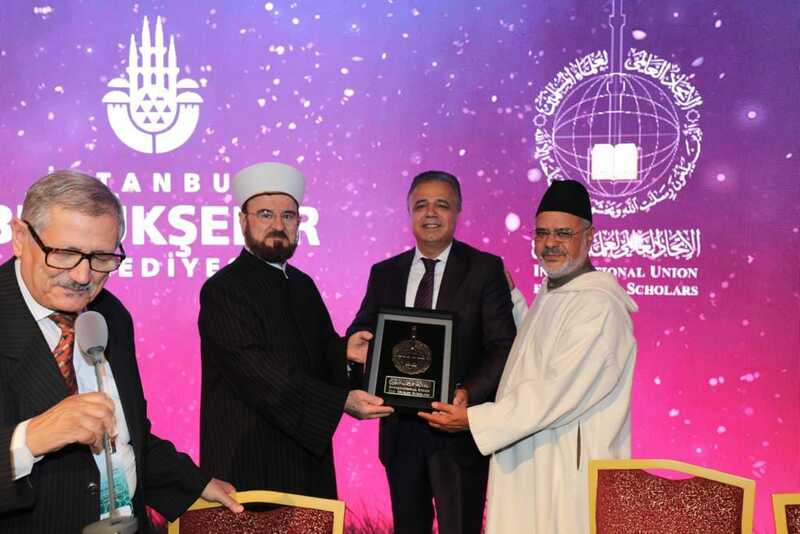 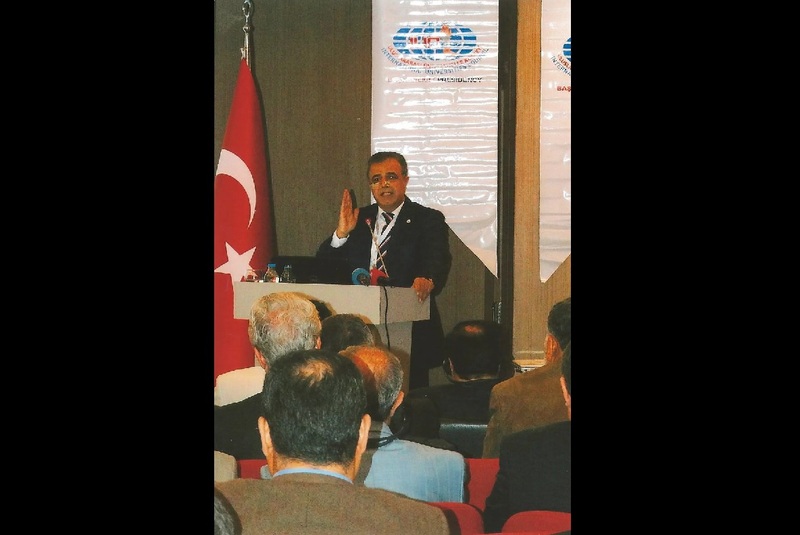 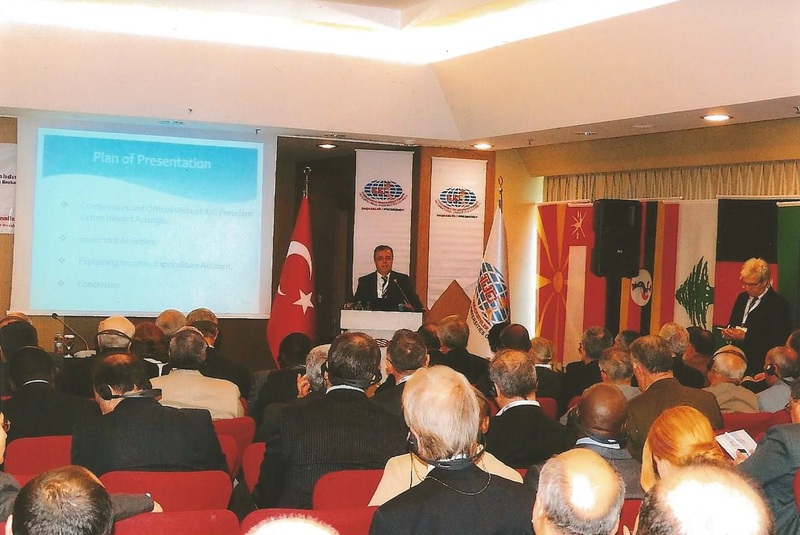 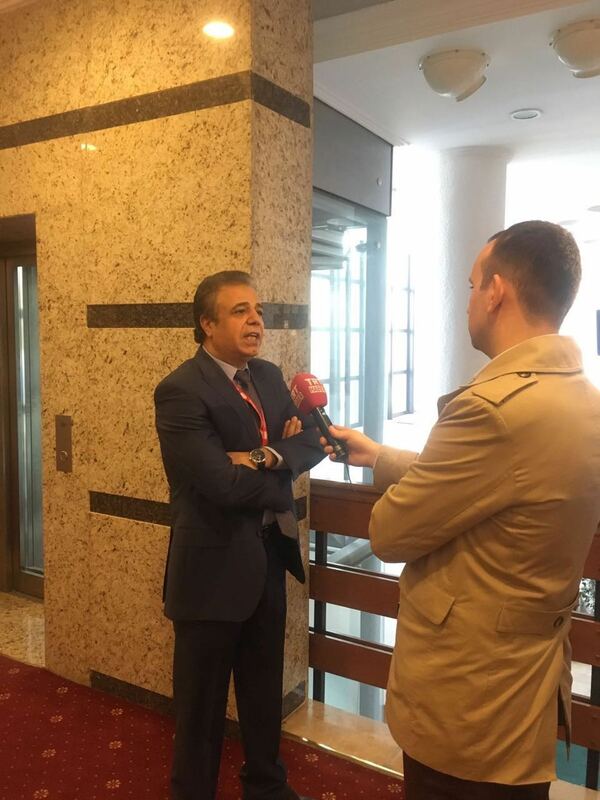 President of IUC Orhan Hikmet Azizoğlu’s “Islam and Democracy” conference in Holland. 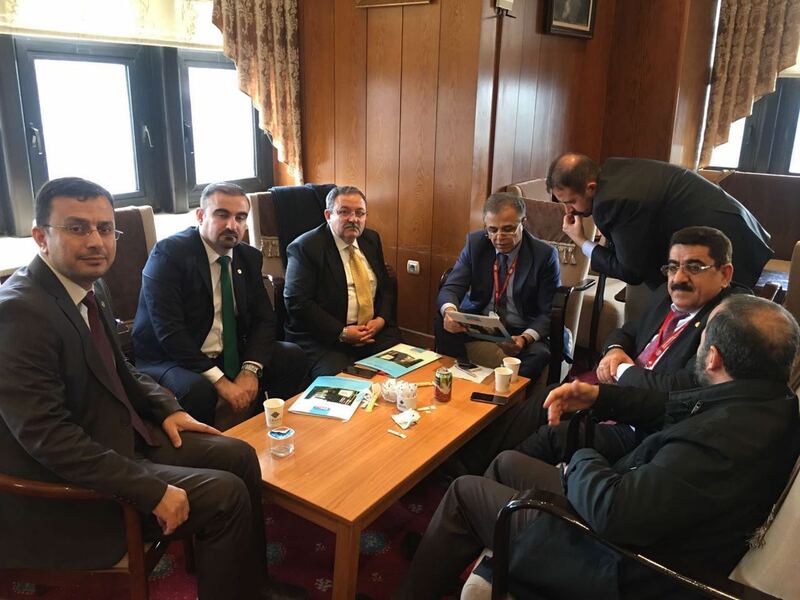 President of IUC Orhan hikmet Azizoğlu with accompanying Committee visited Minister of Higher Education of Kurdistan Region Yusuf Goran.